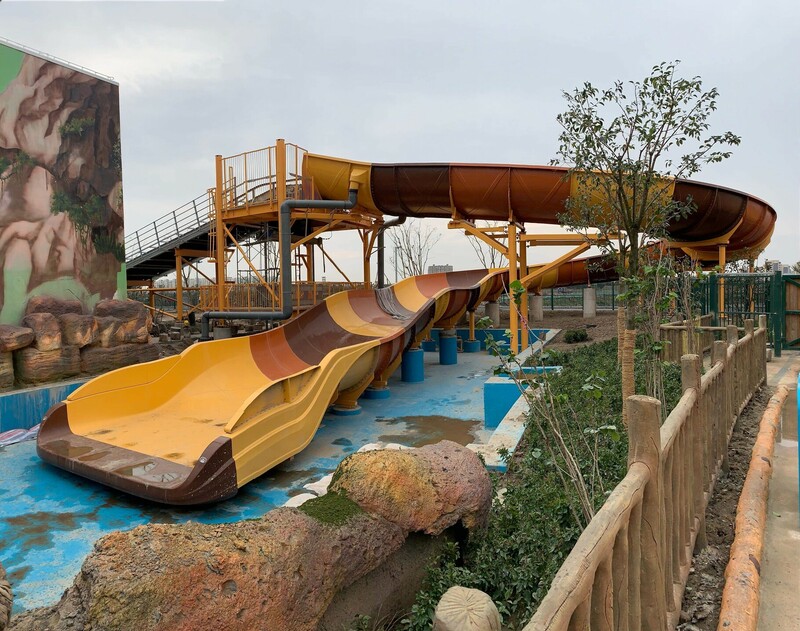 Work continues on Fire Falls spinning river rapids this first photo shows the ride's signature manta slide section on the left and load area on the right. 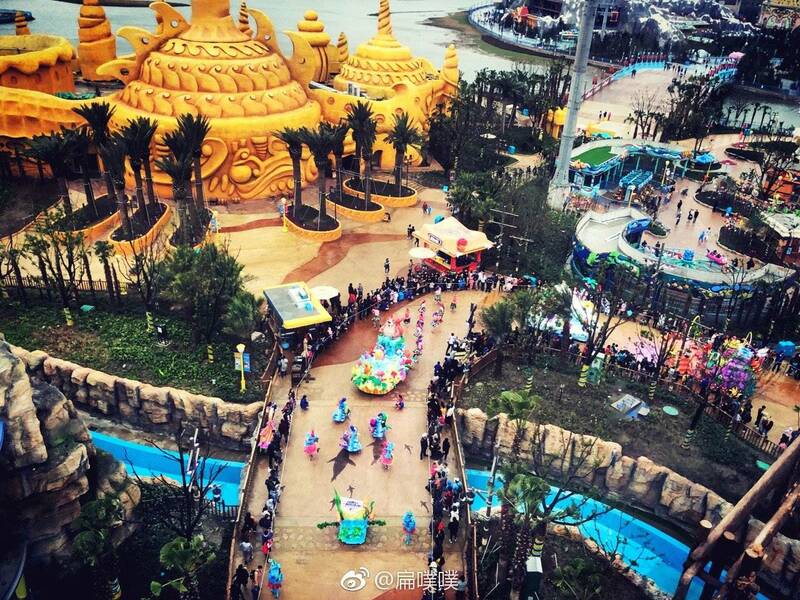 The building being built in the back is I believe the warehouse for the parade floats. 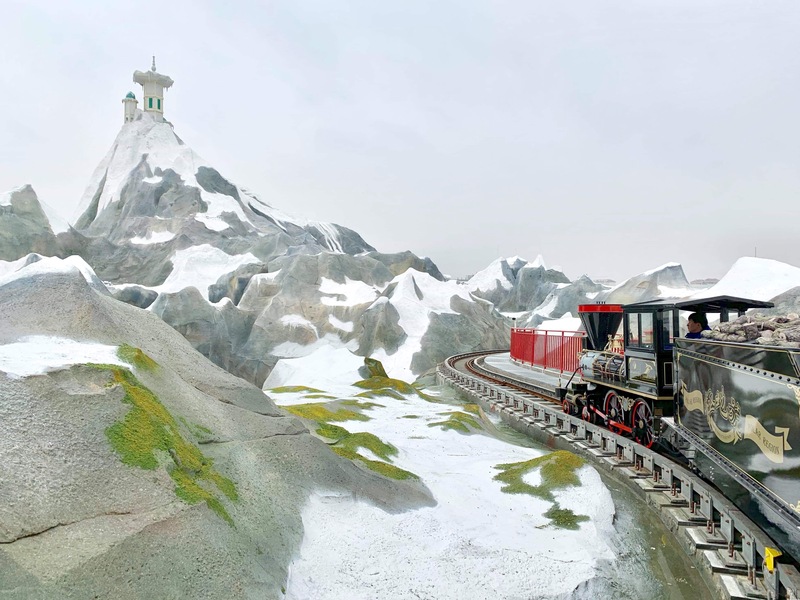 Choo-choo! 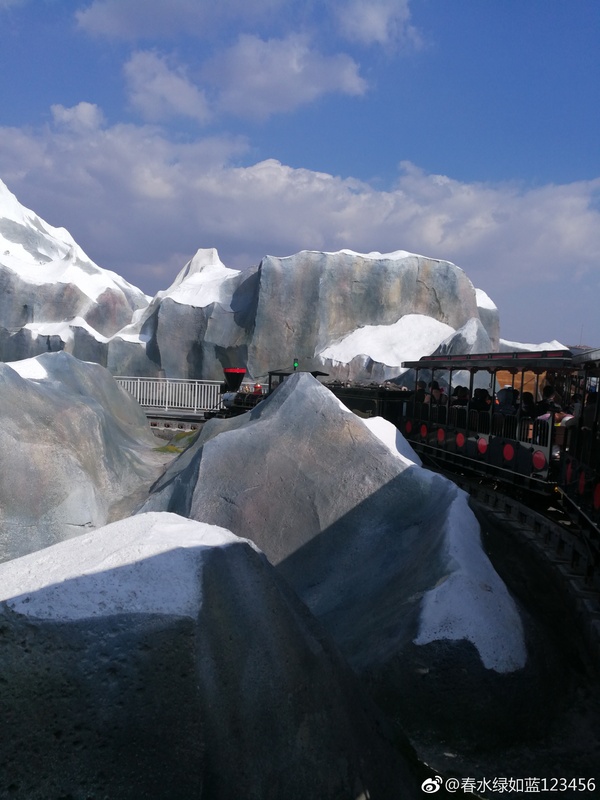 All aboard the Snow Train! 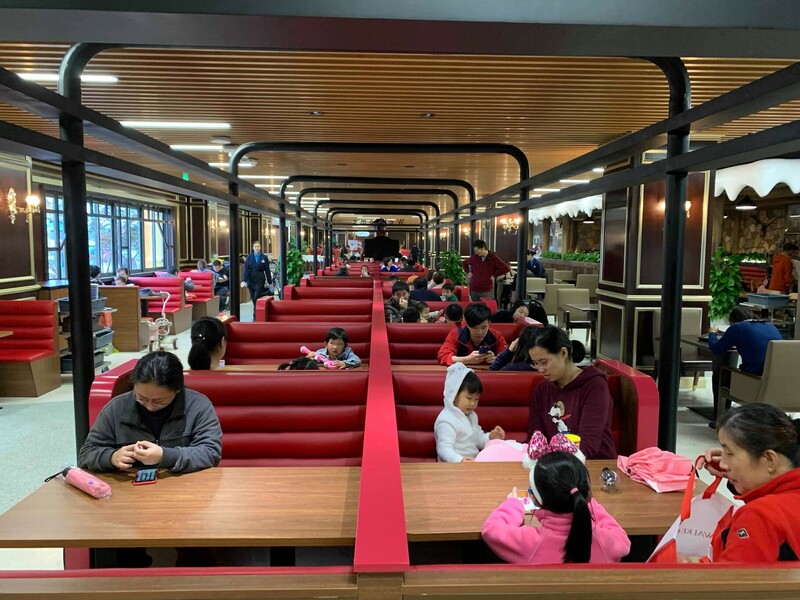 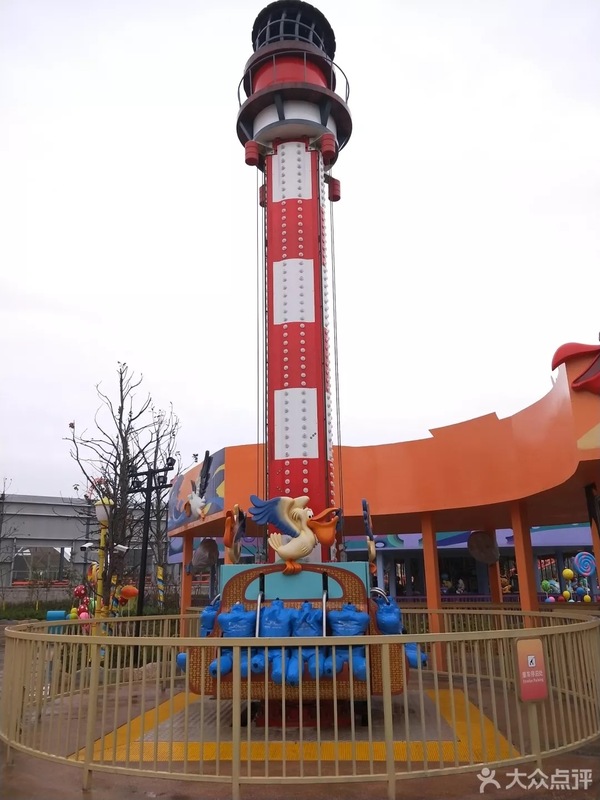 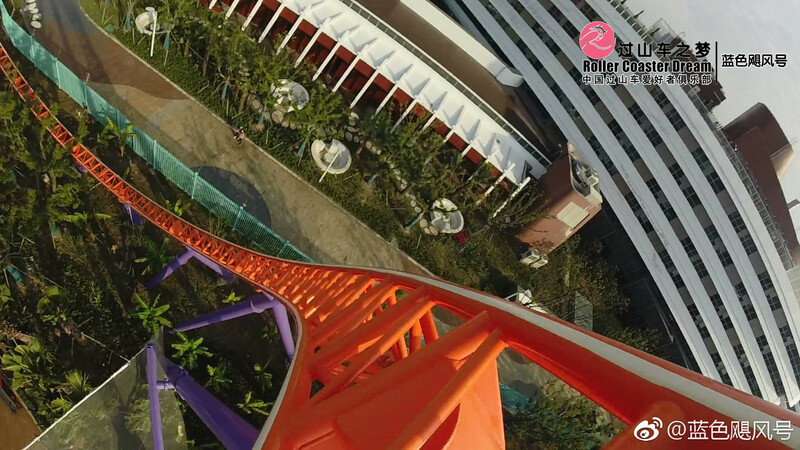 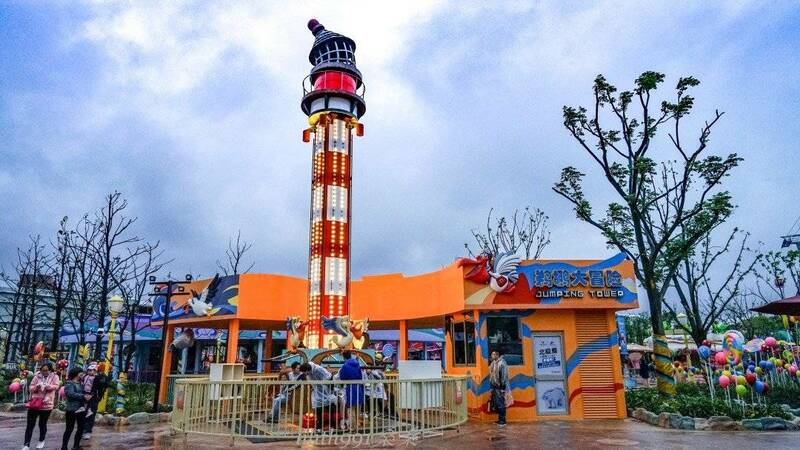 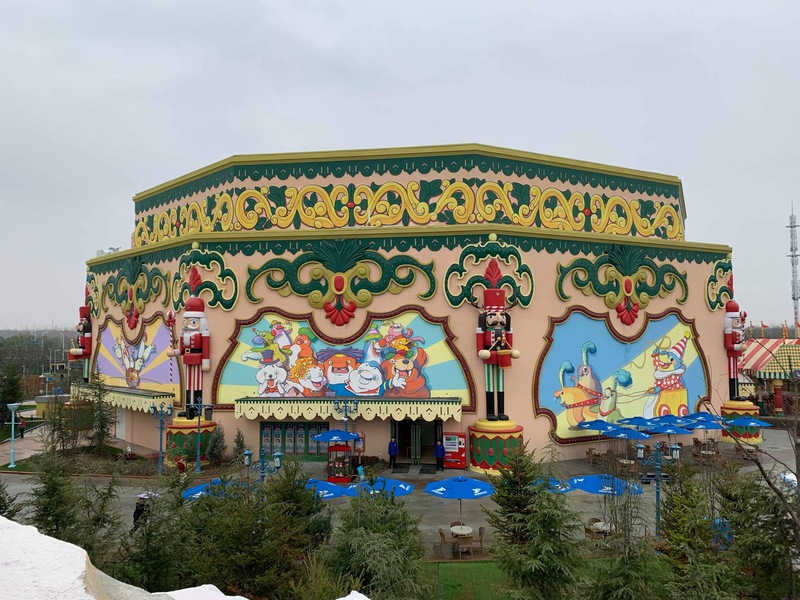 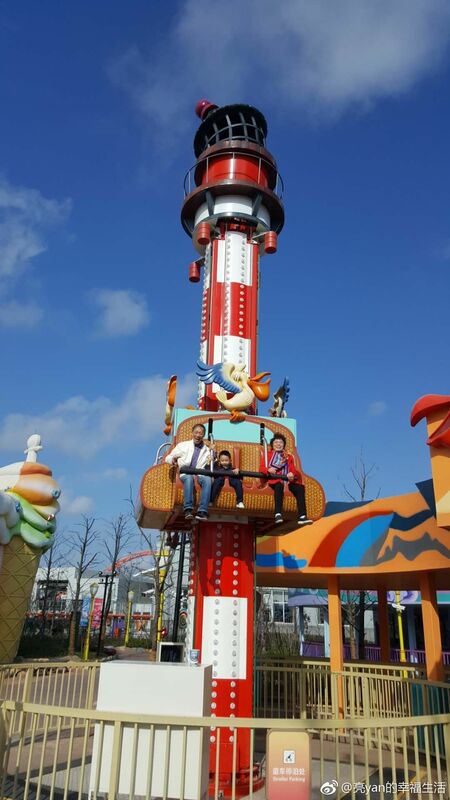 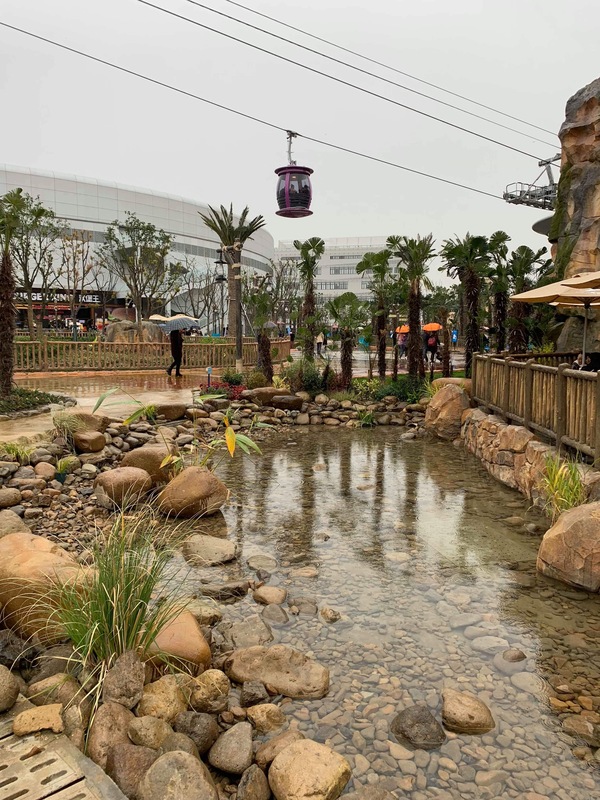 The Jumping Tower kiddie ride has finally opened! 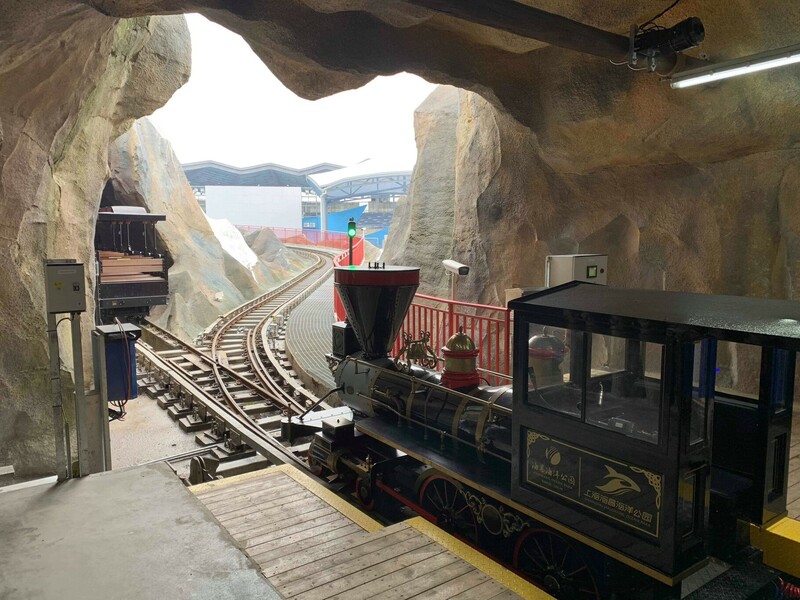 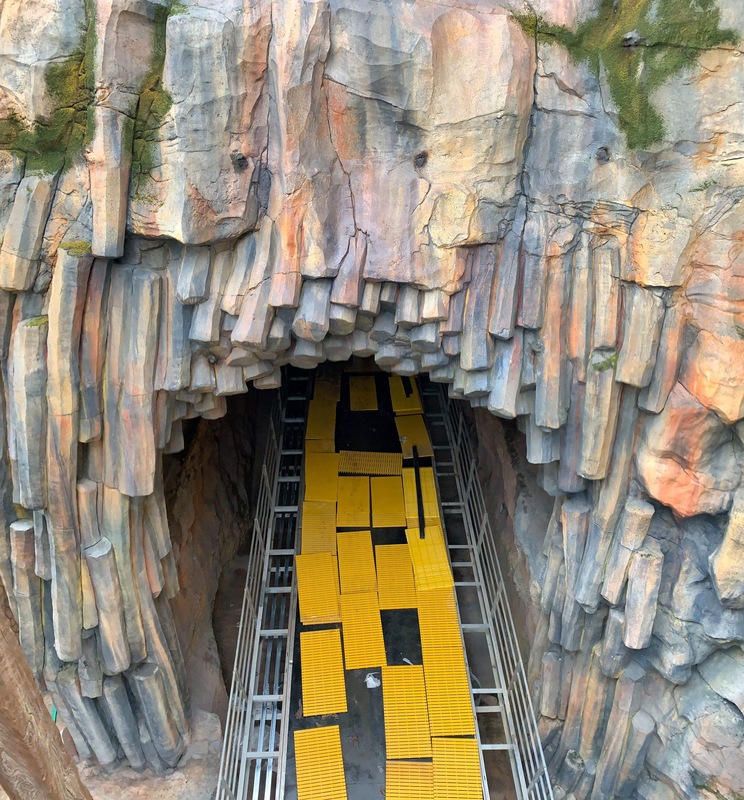 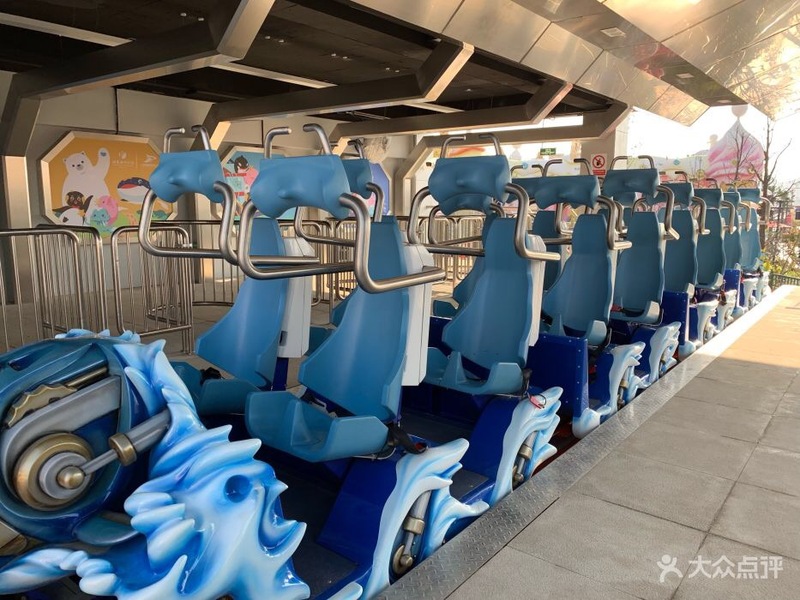 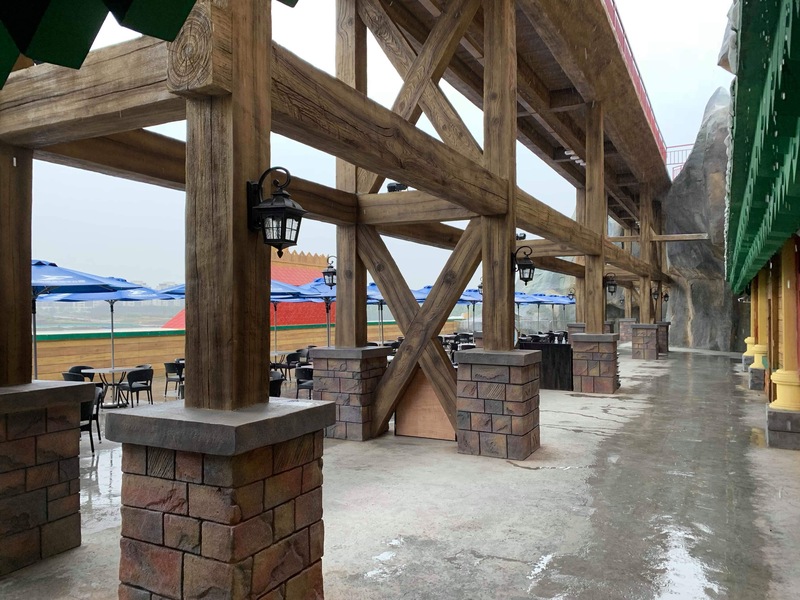 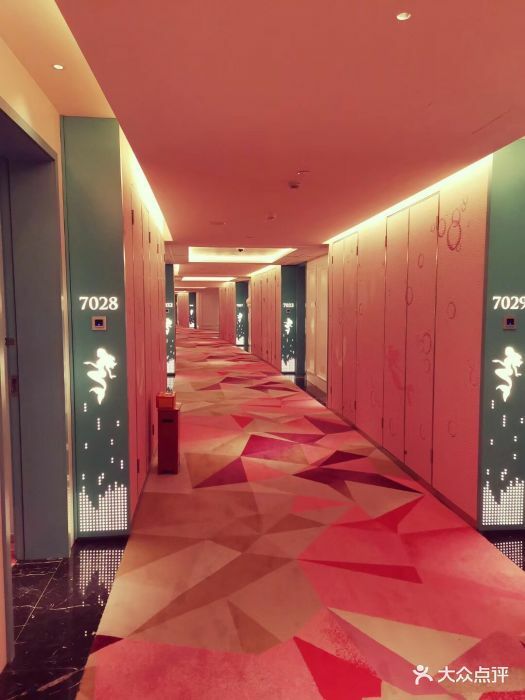 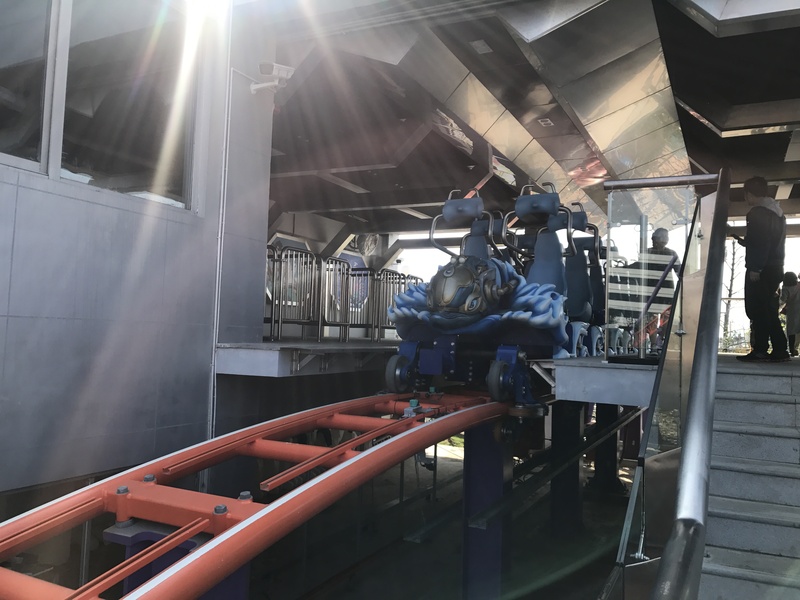 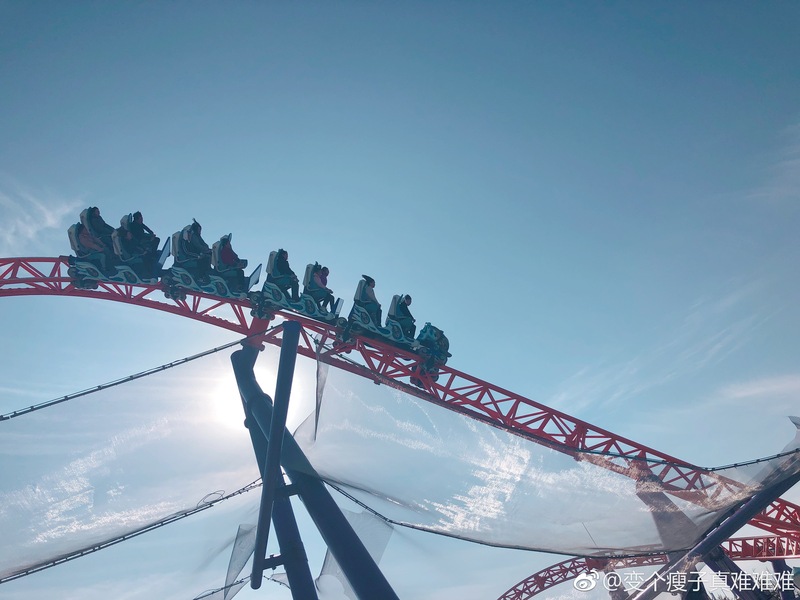 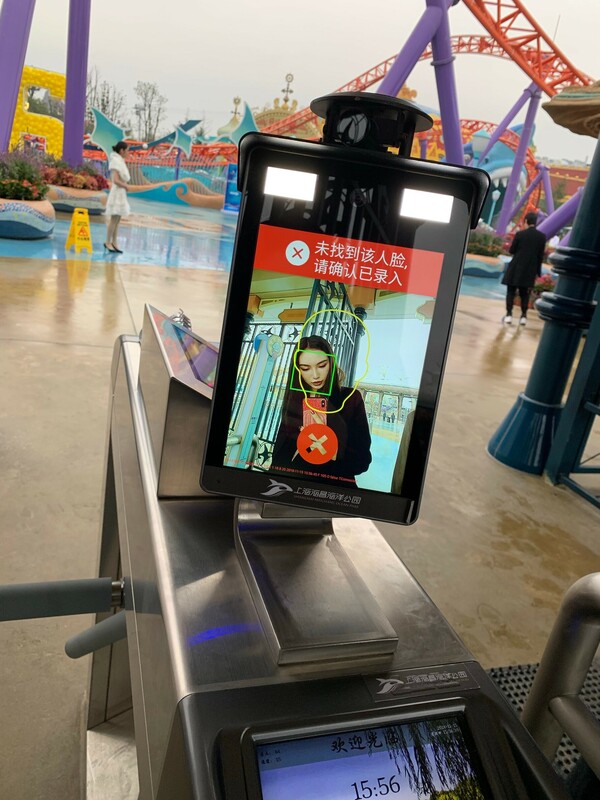 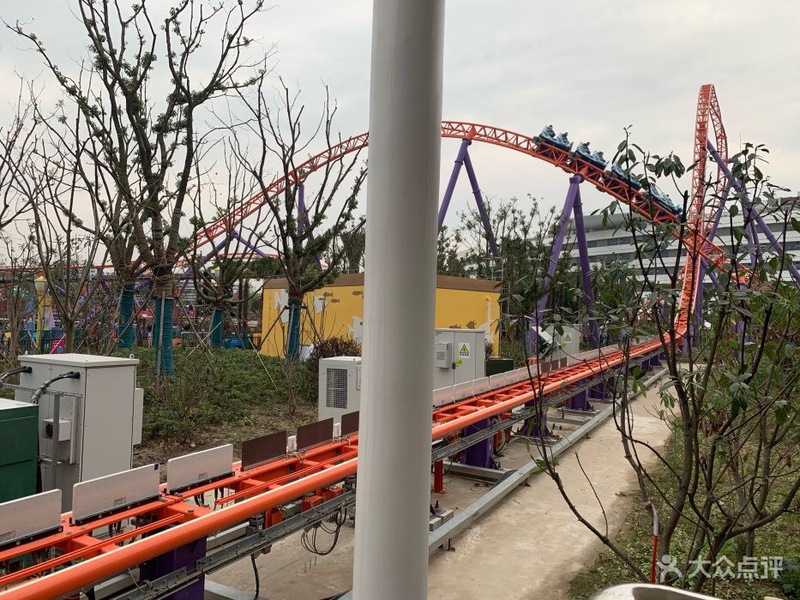 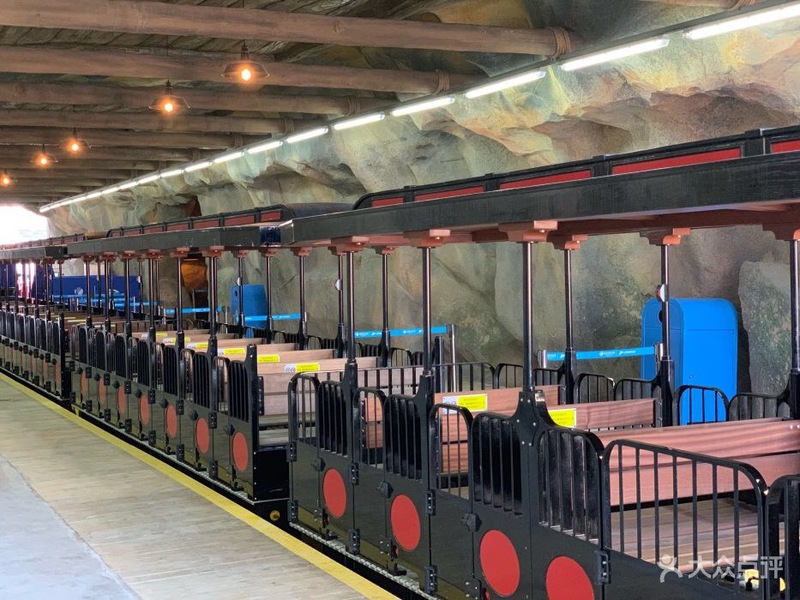 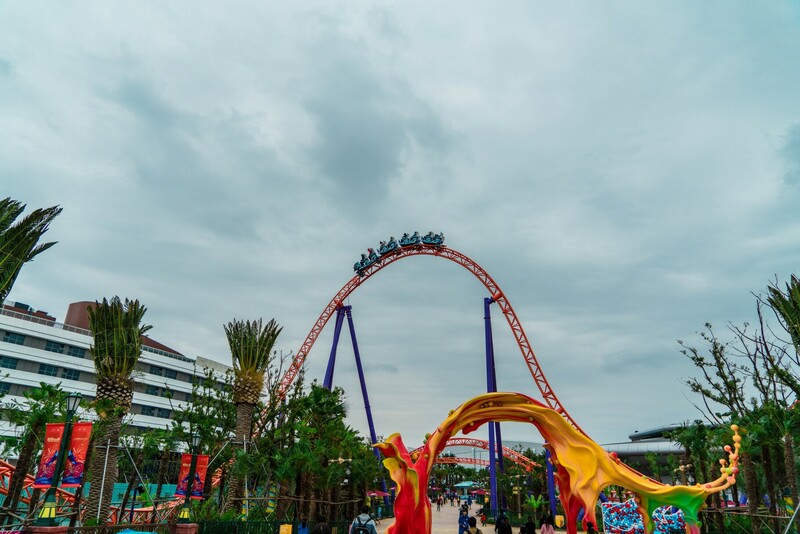 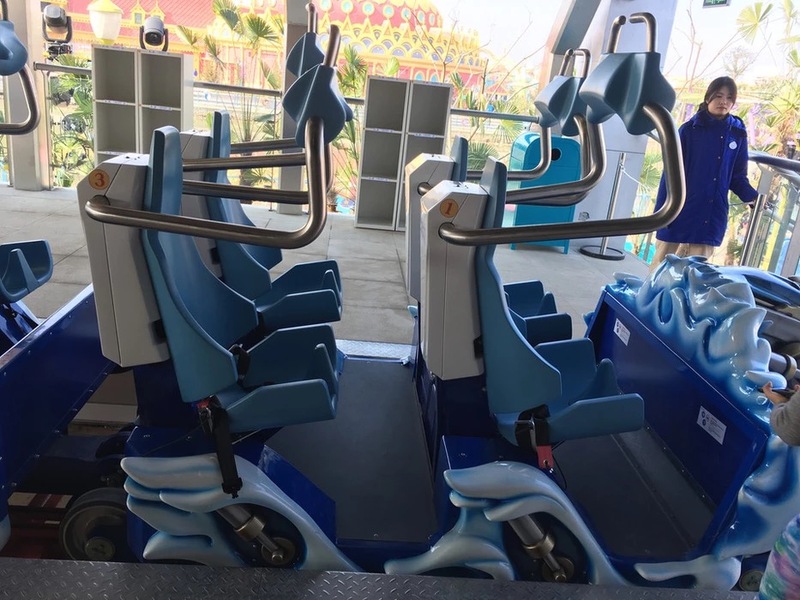 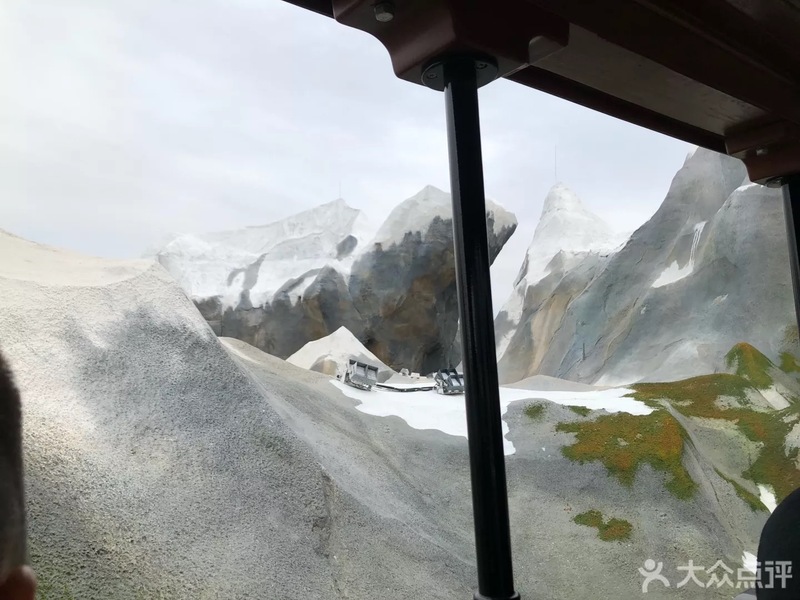 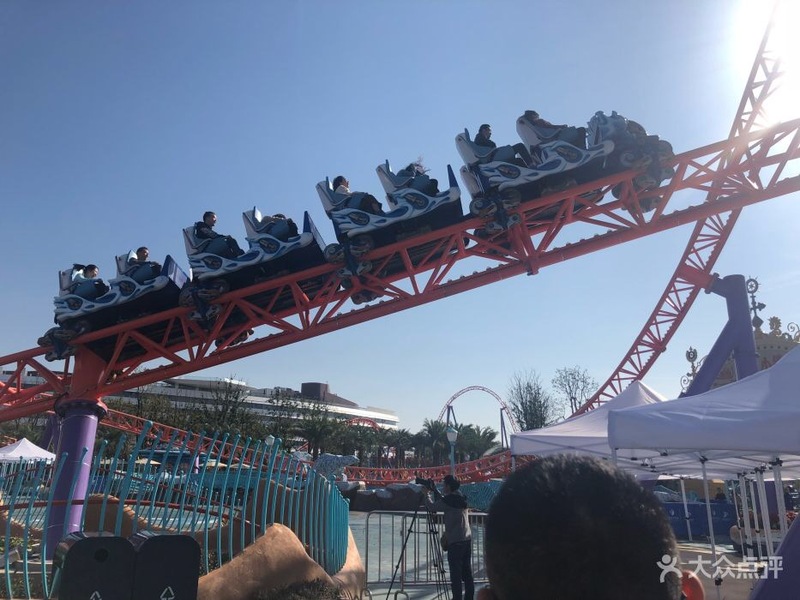 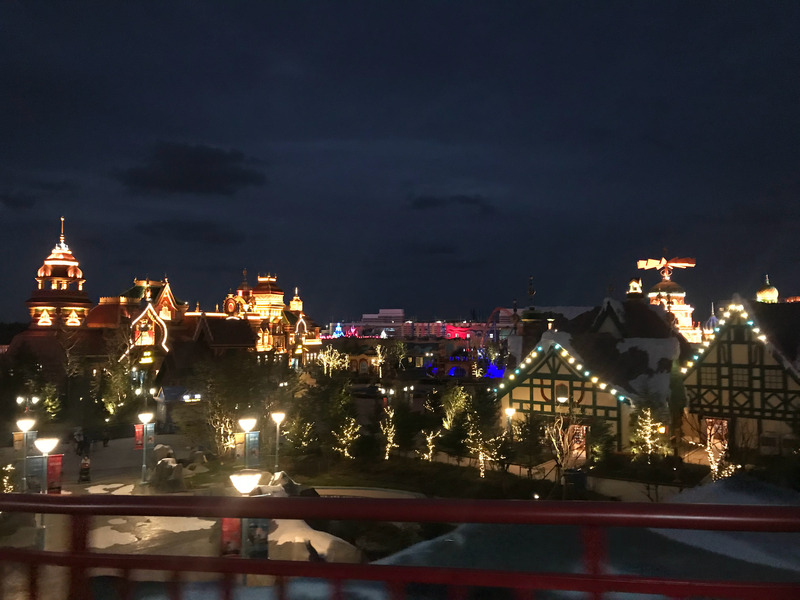 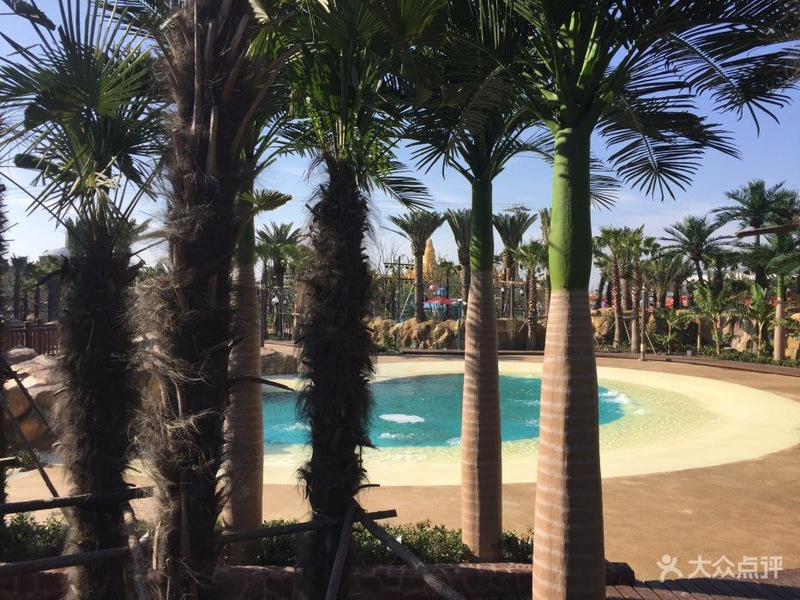 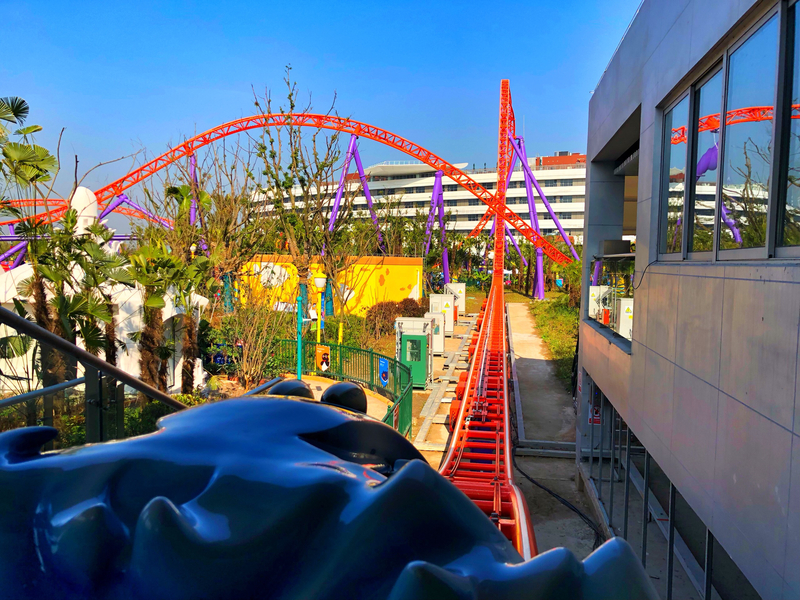 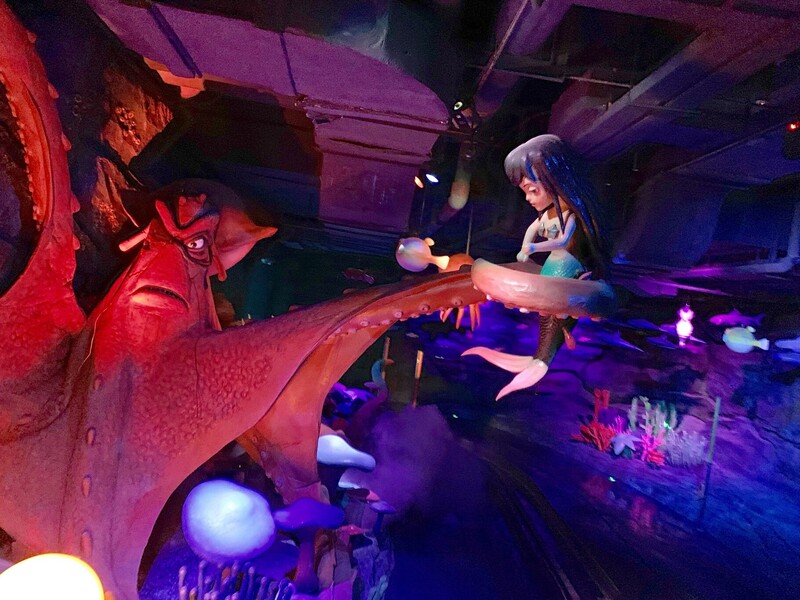 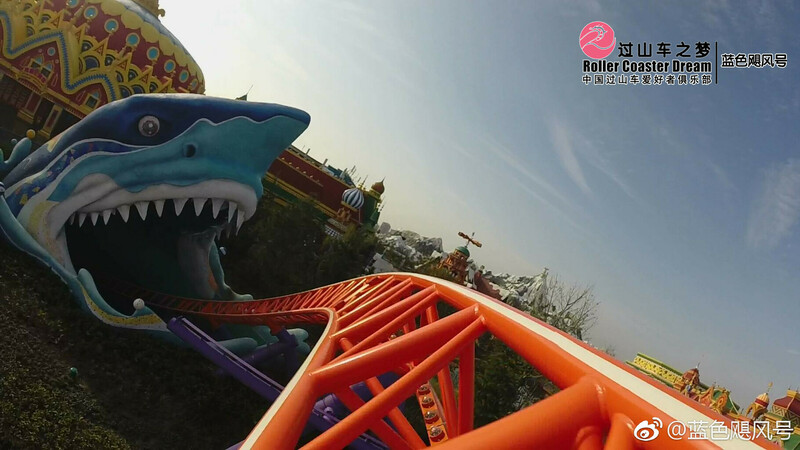 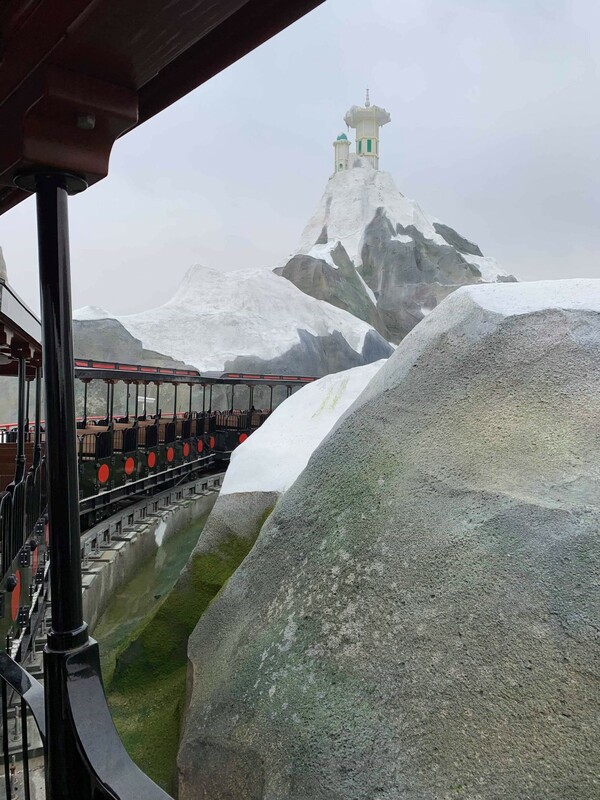 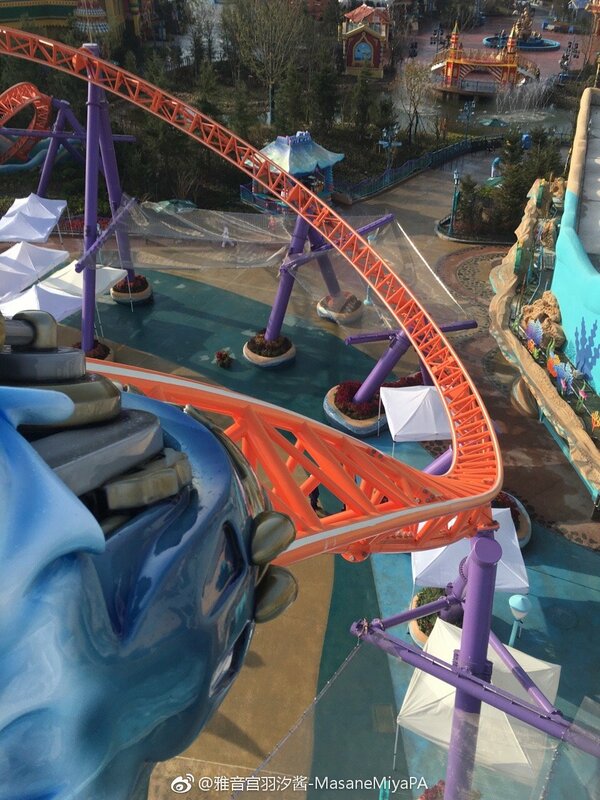 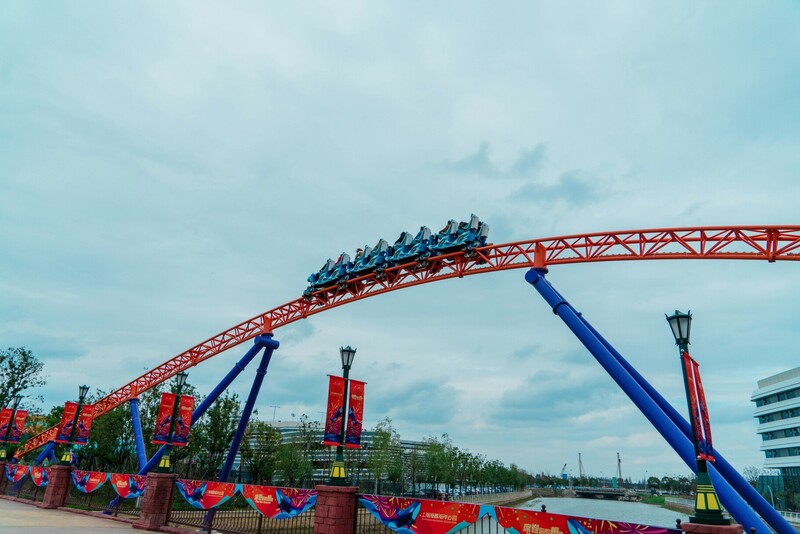 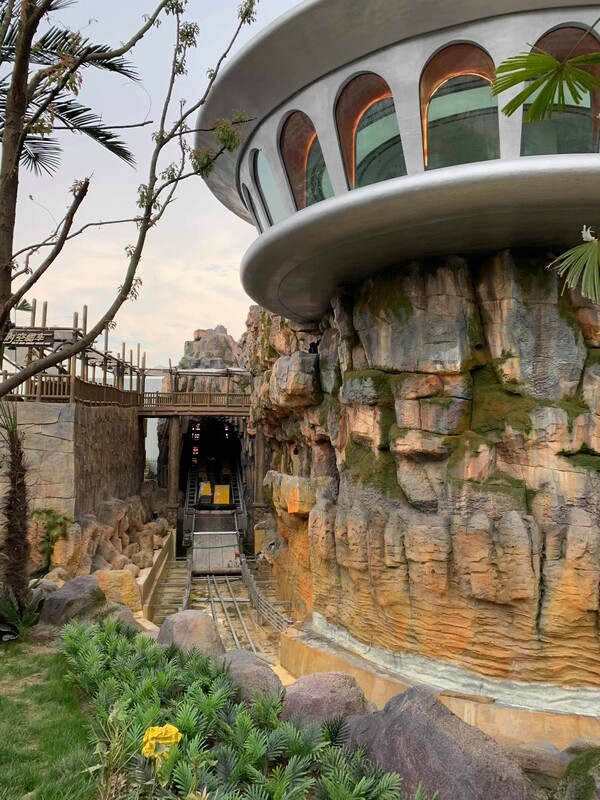 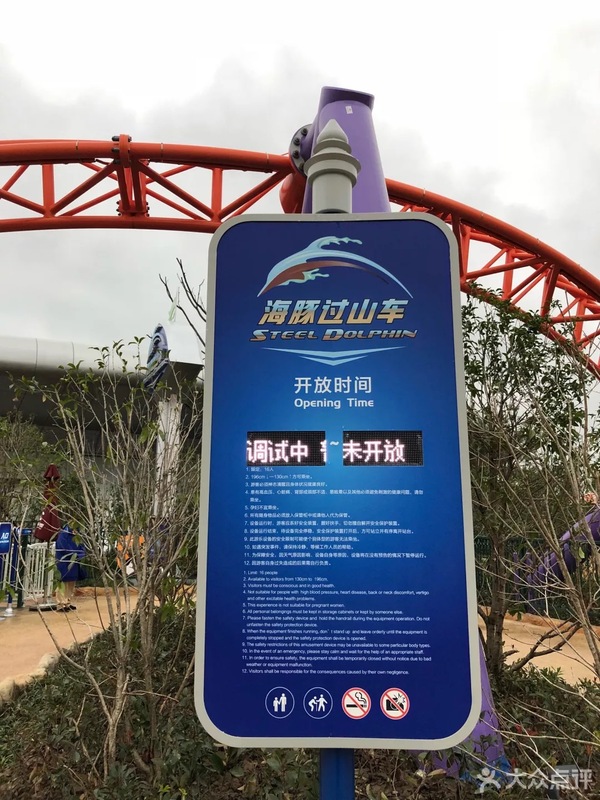 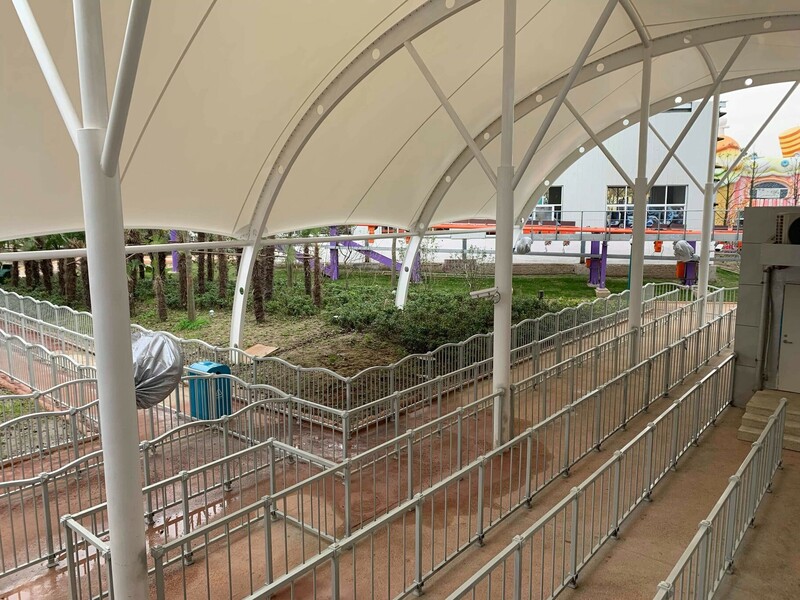 New photos of the park's dark ride, "Adventures in the Sea"
A brand new video was just posted online showing us the first POV clip of front row on Steel Dolphin! 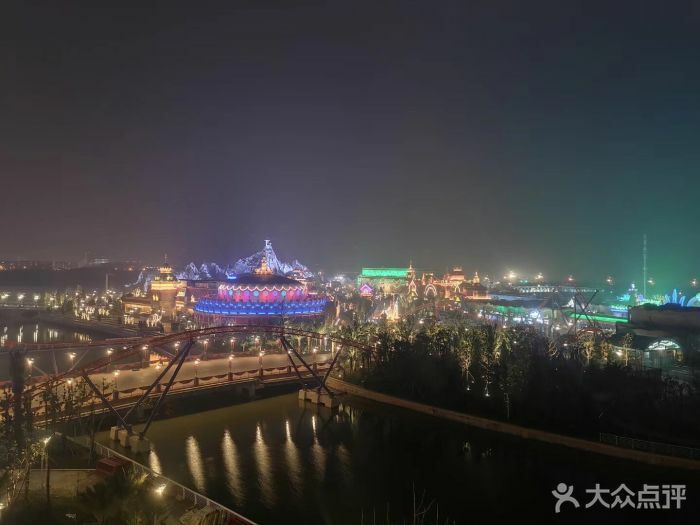 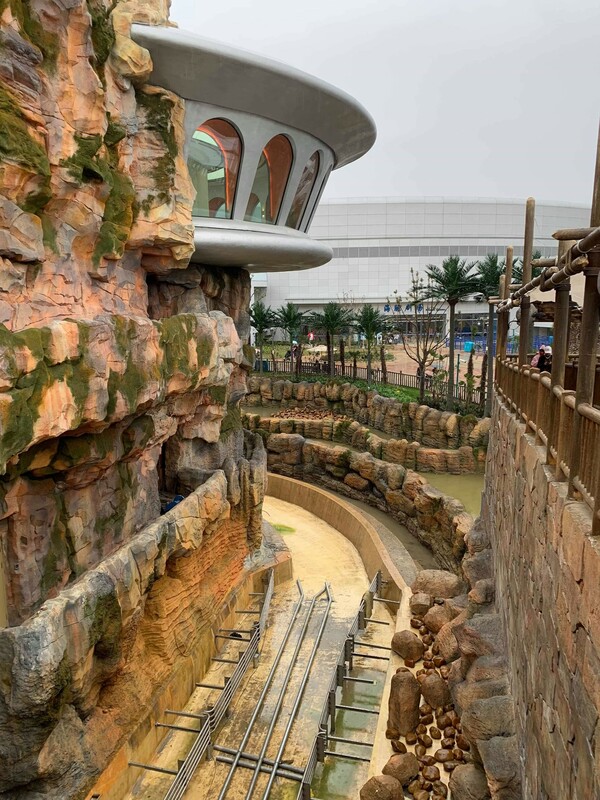 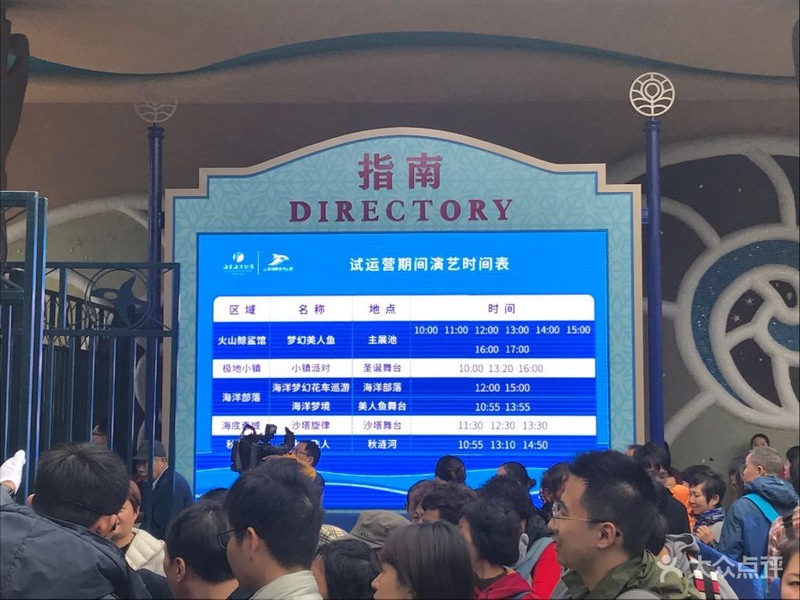 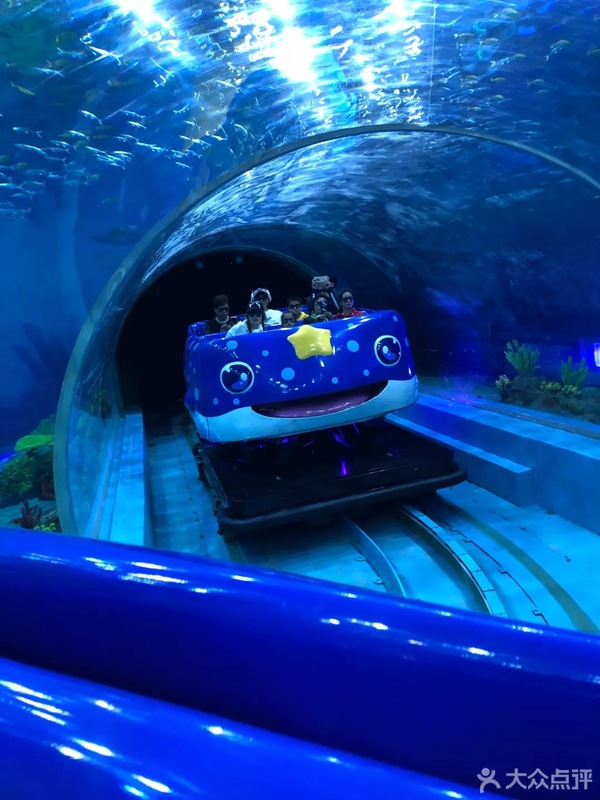 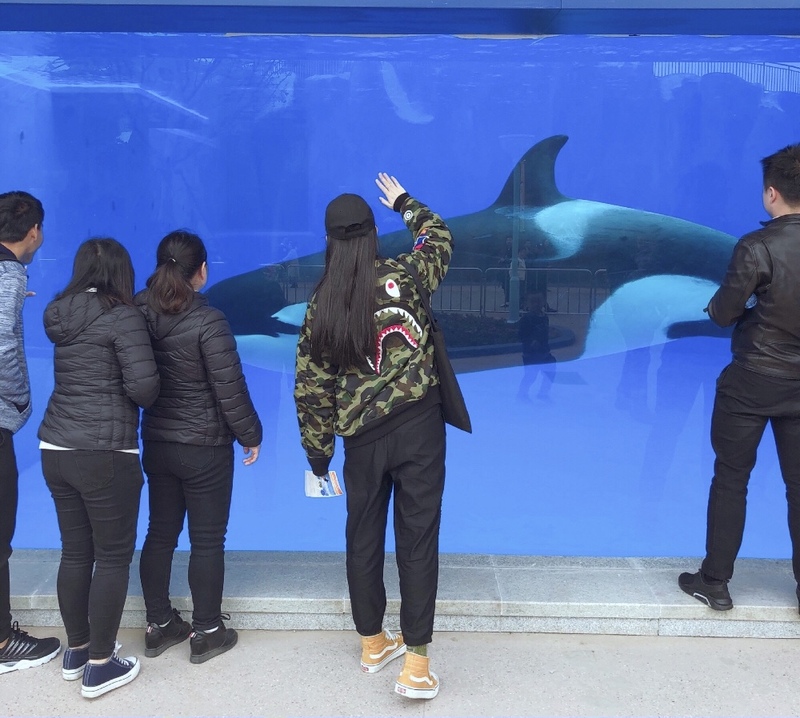 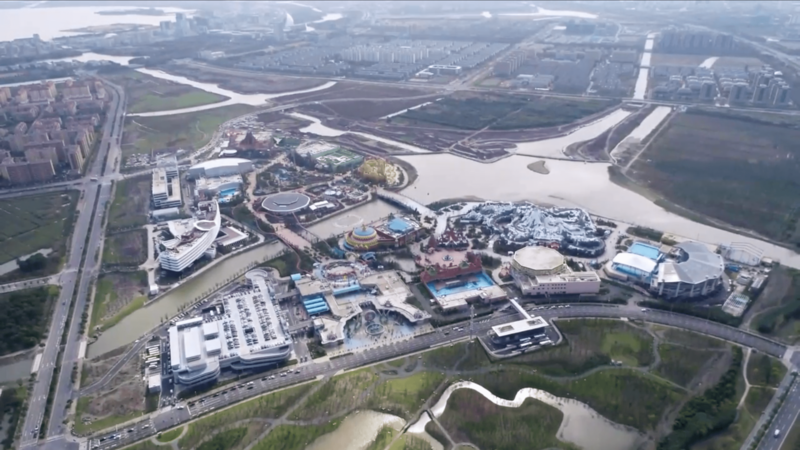 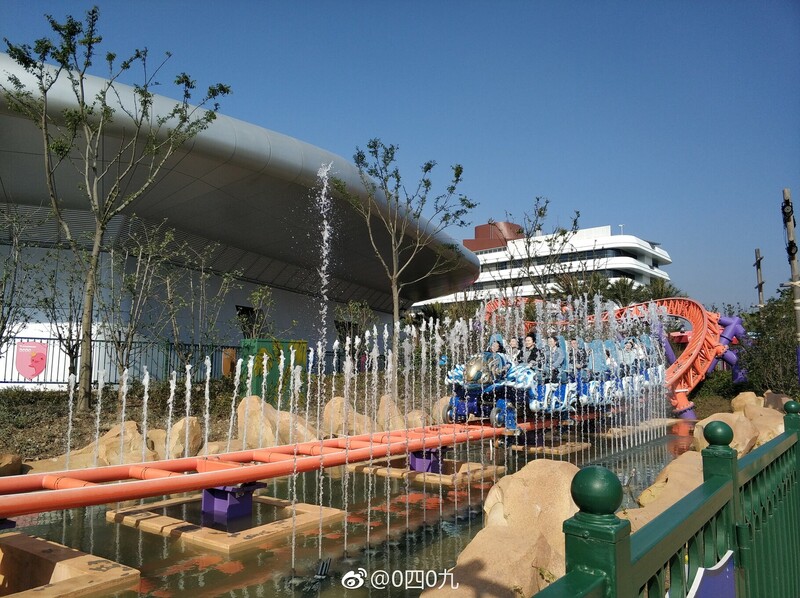 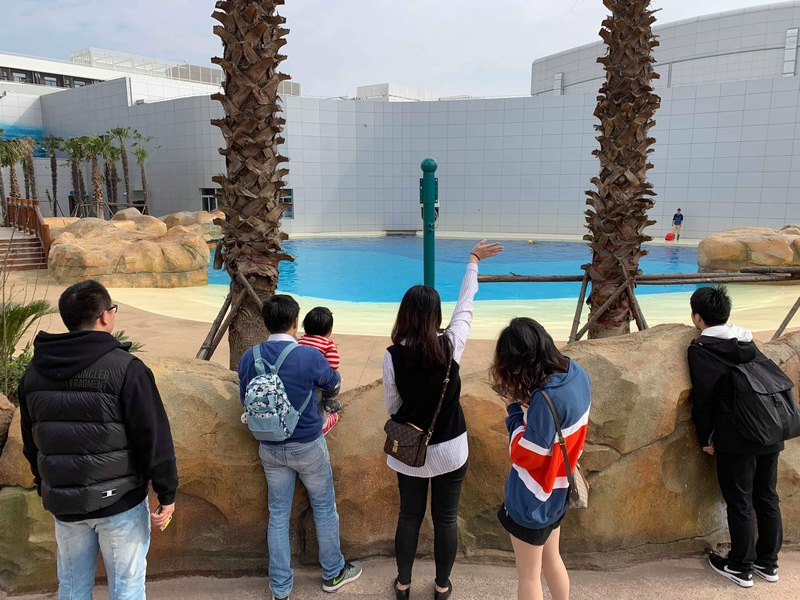 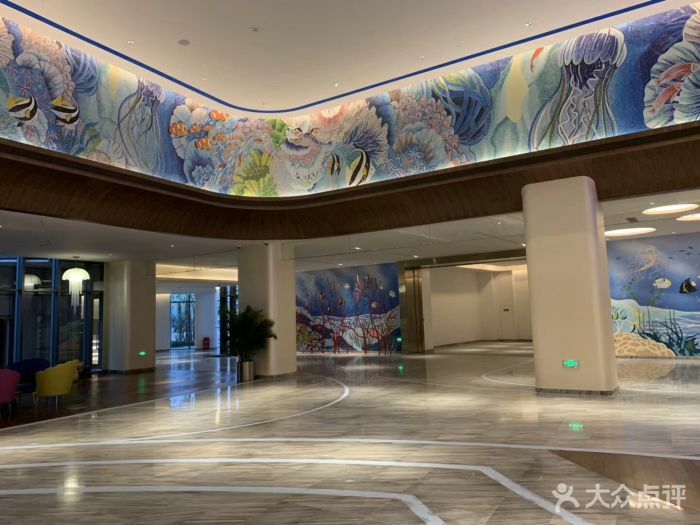 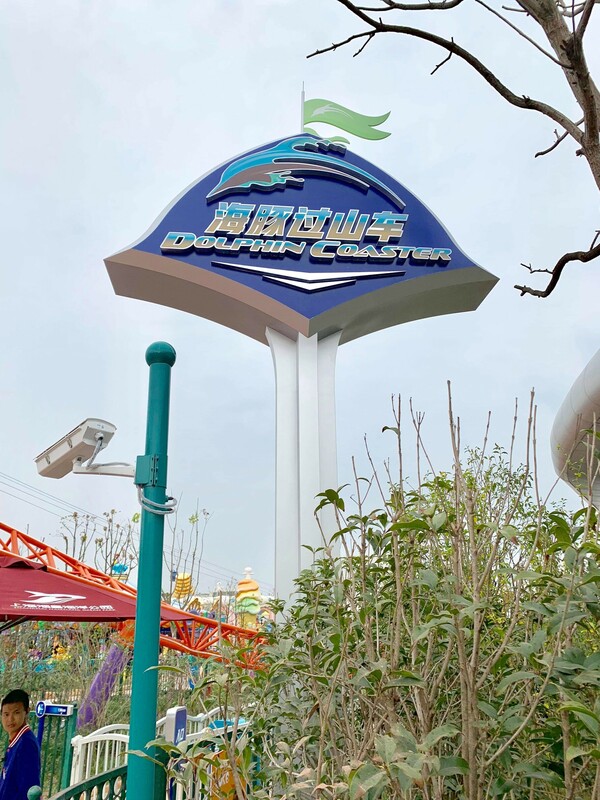 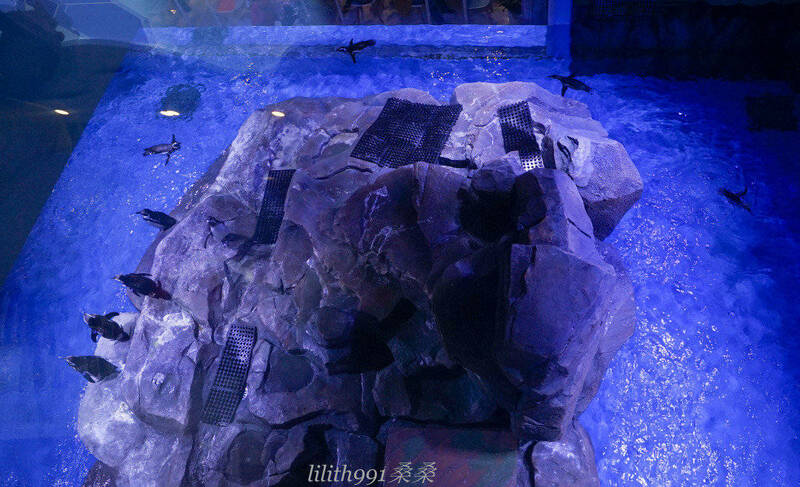 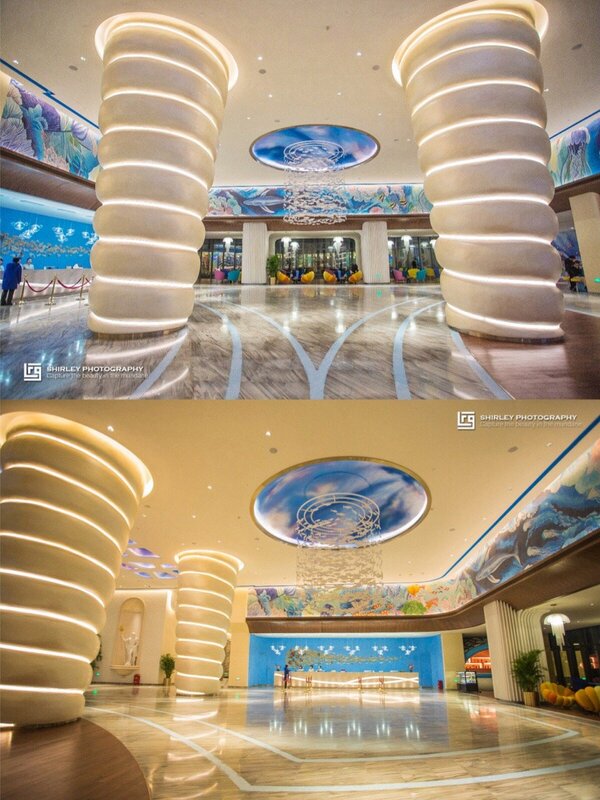 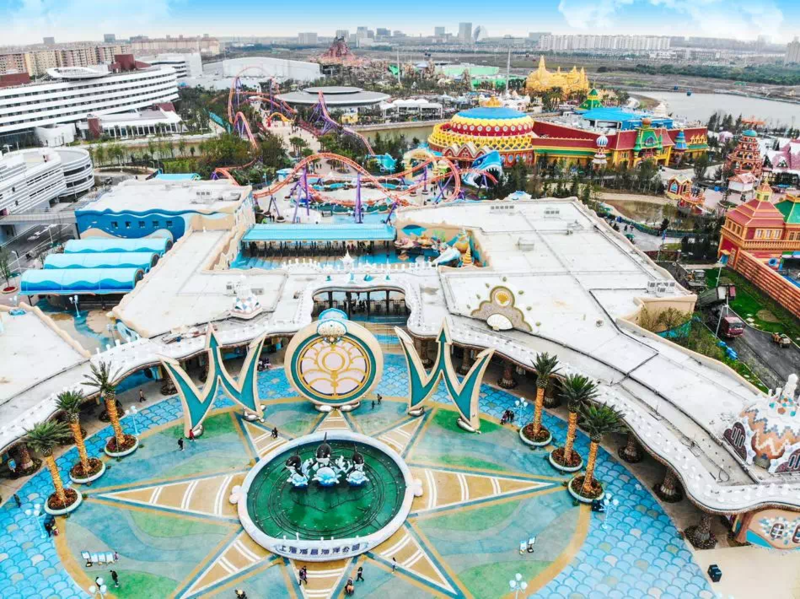 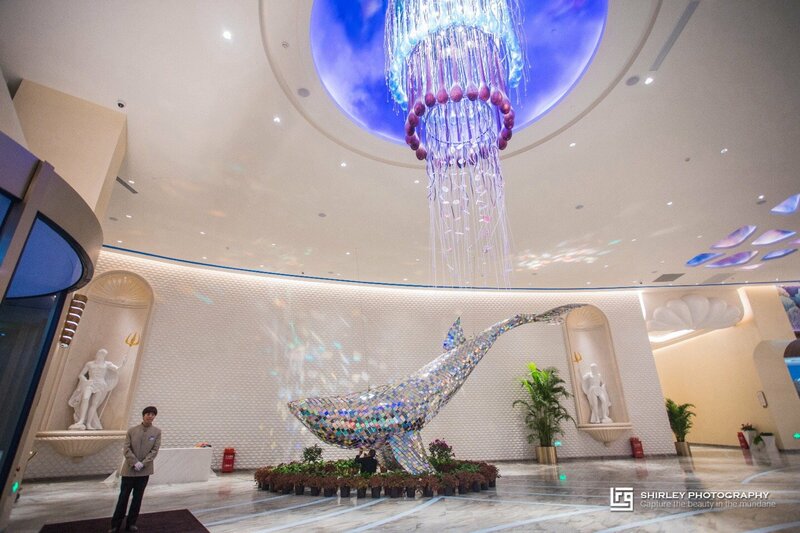 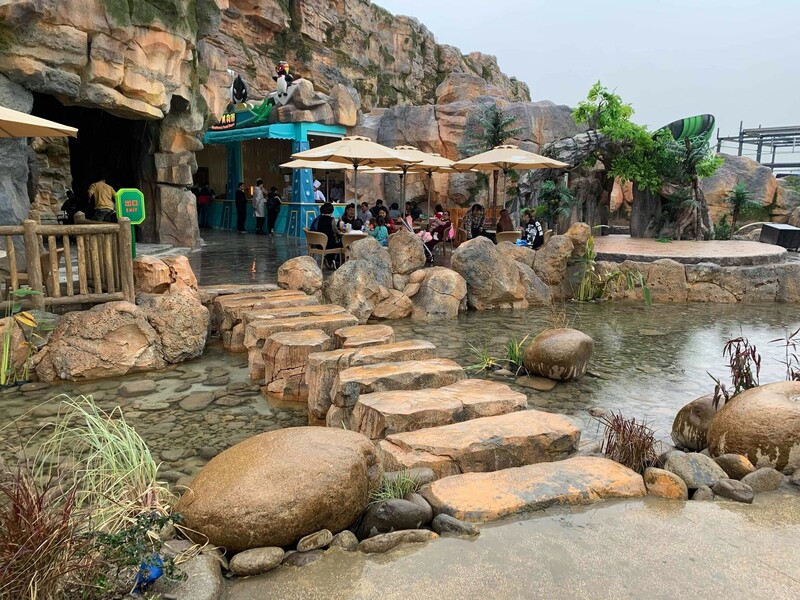 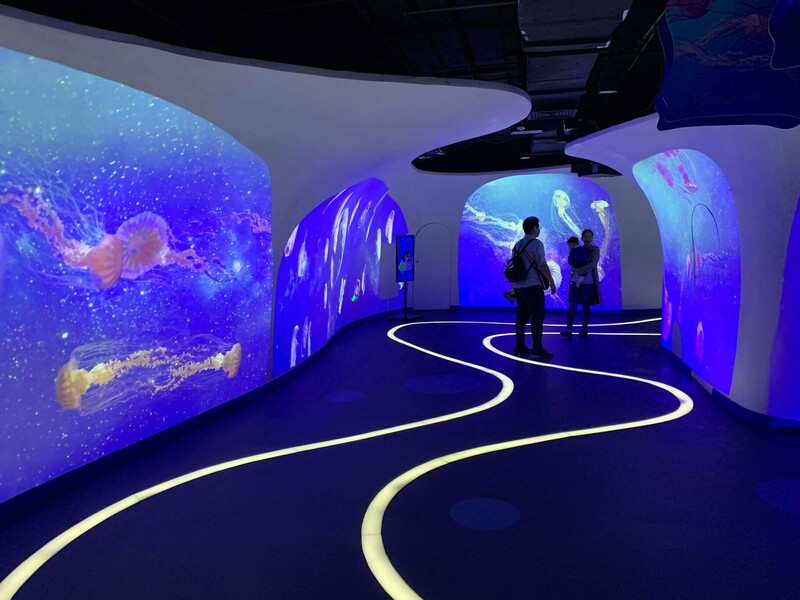 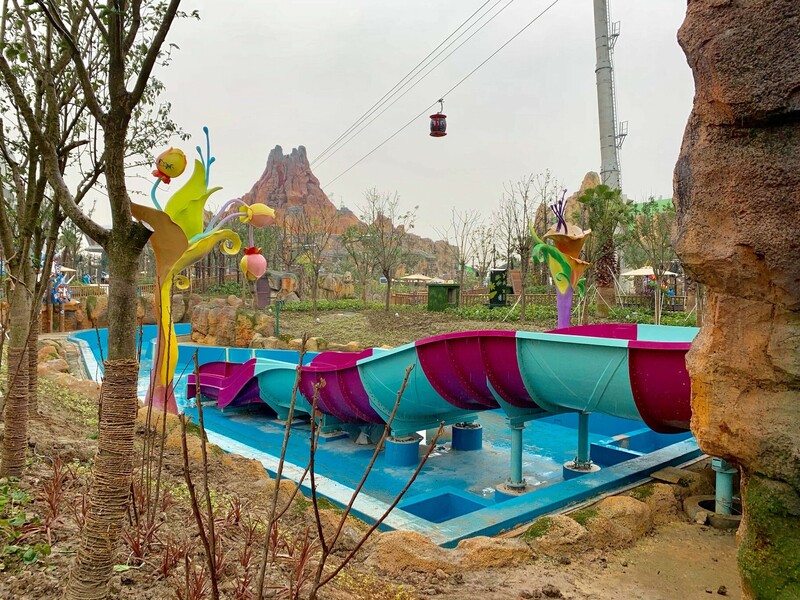 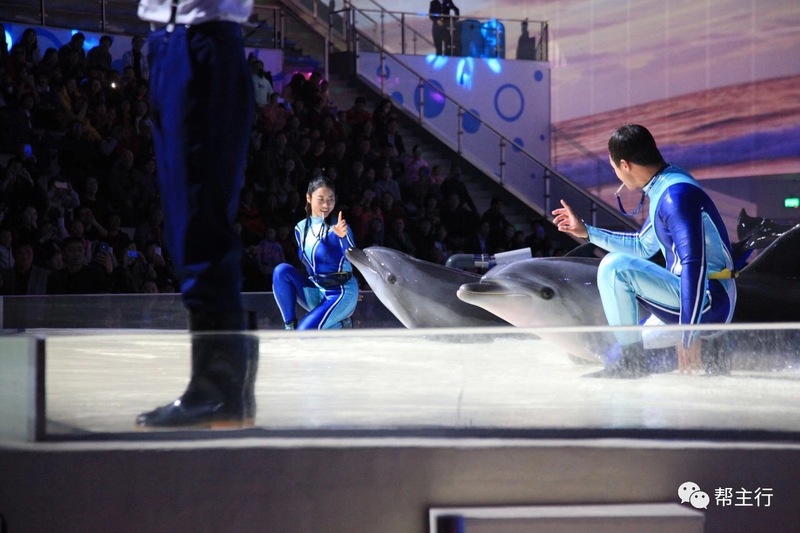 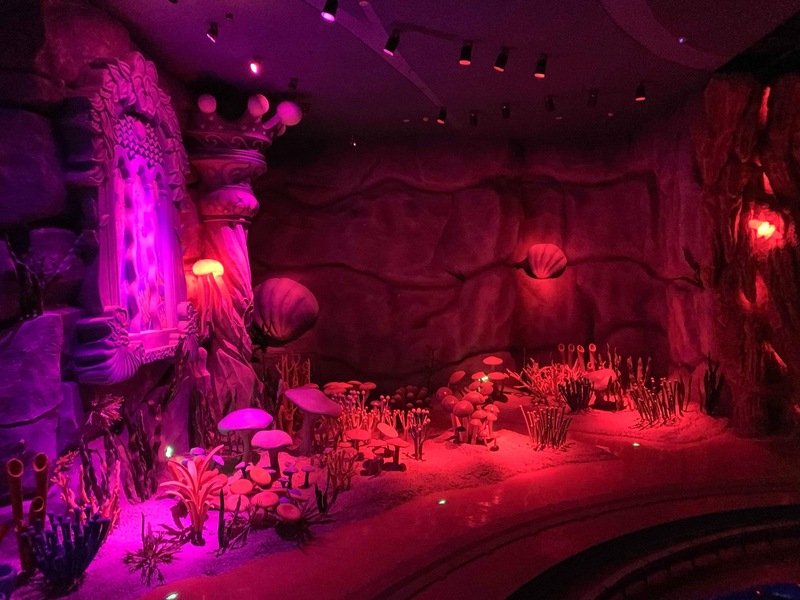 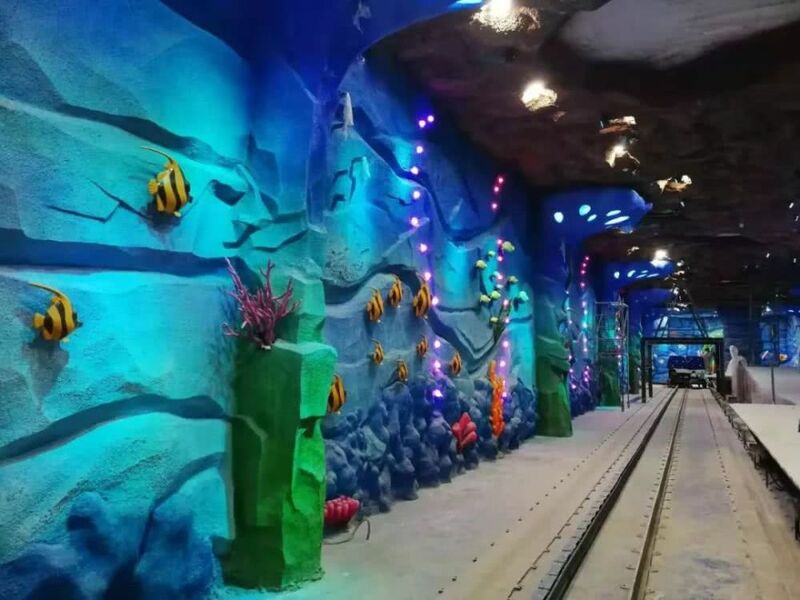 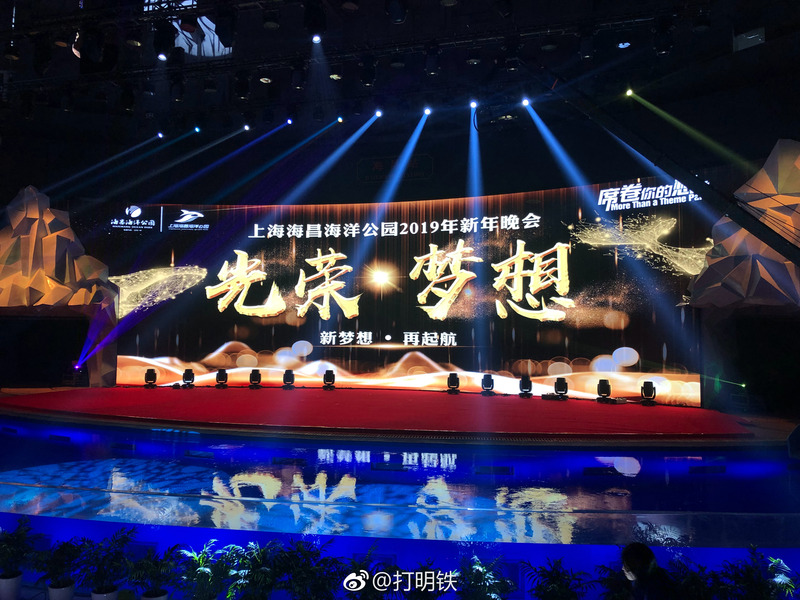 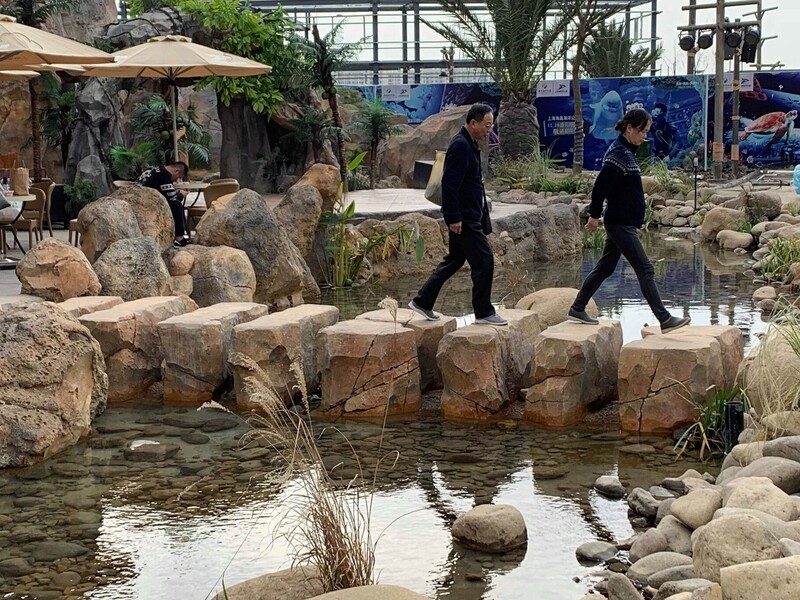 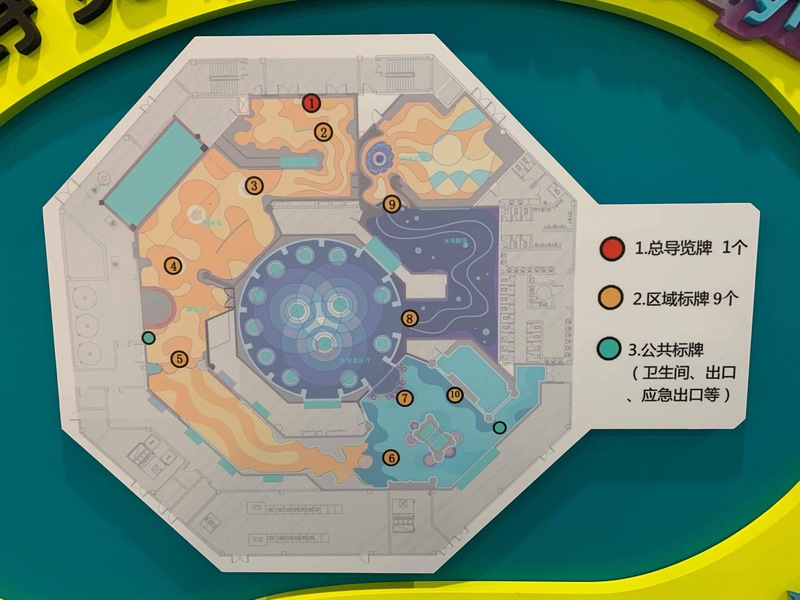 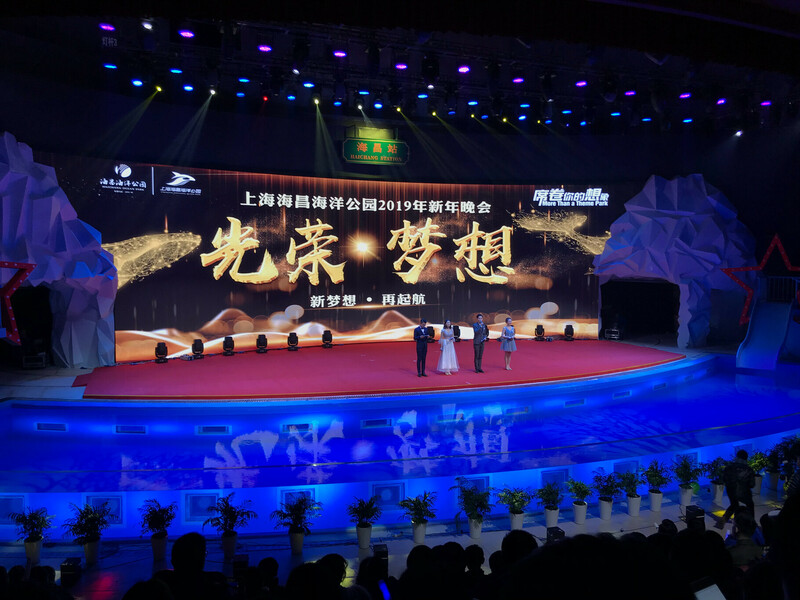 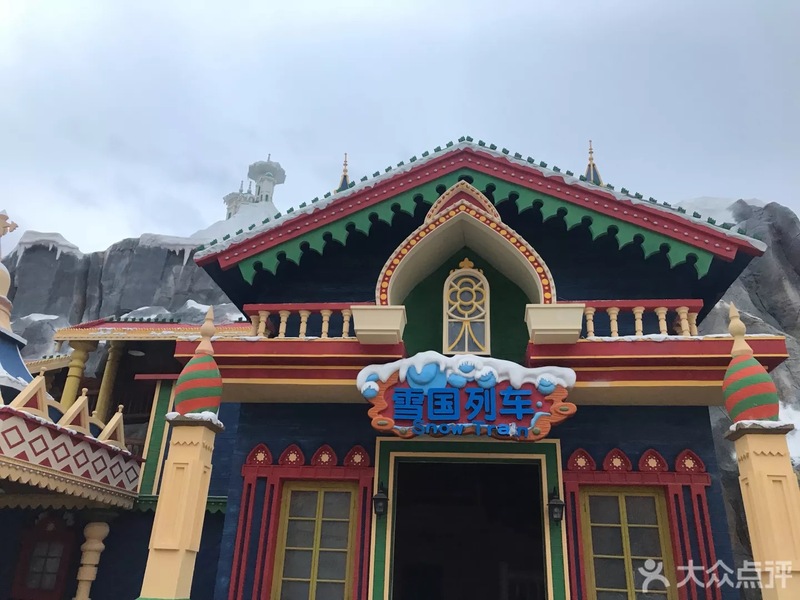 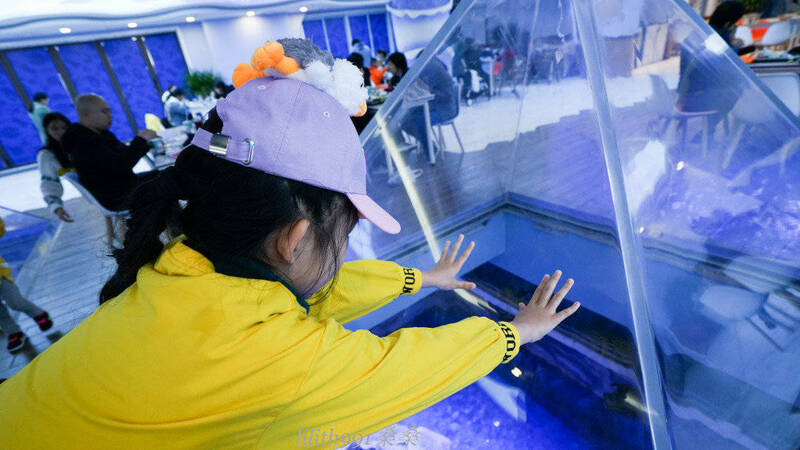 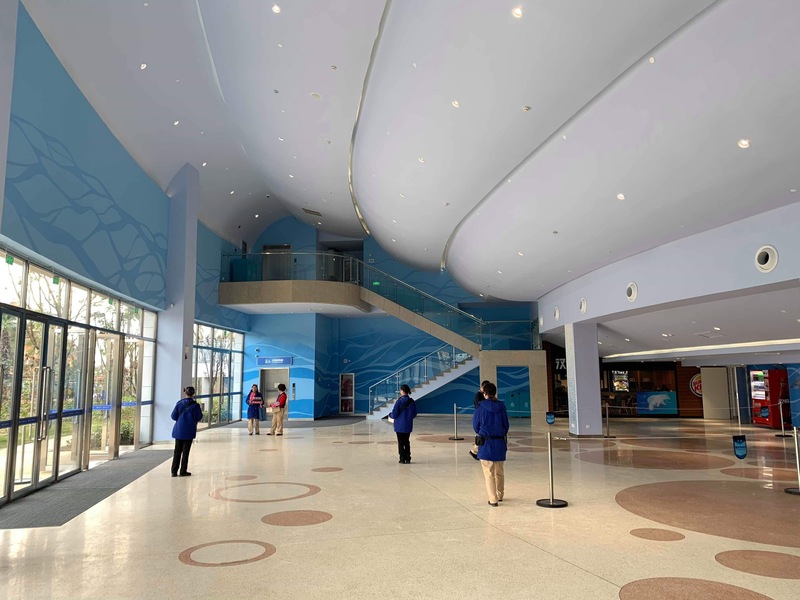 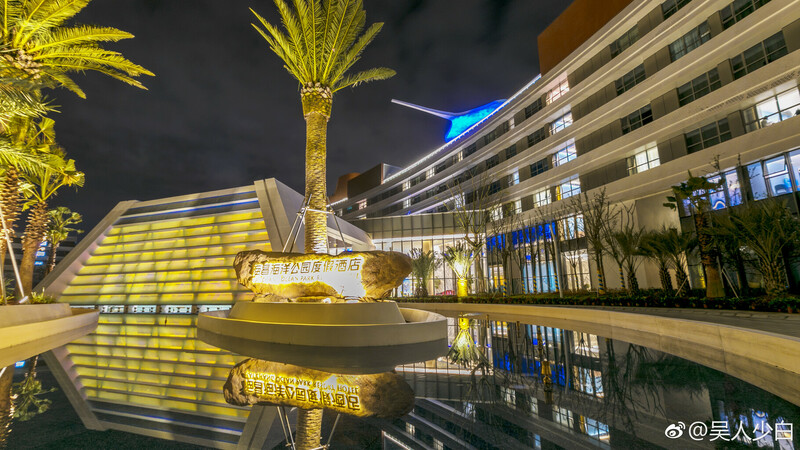 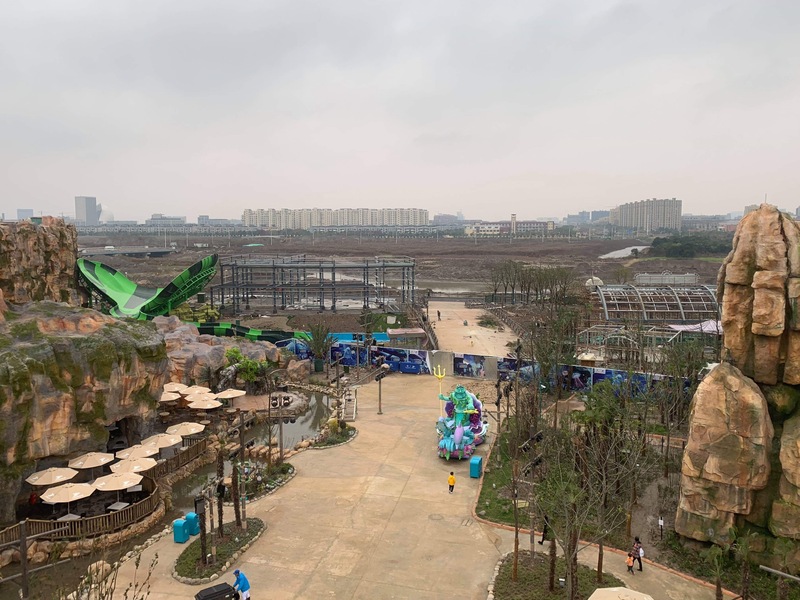 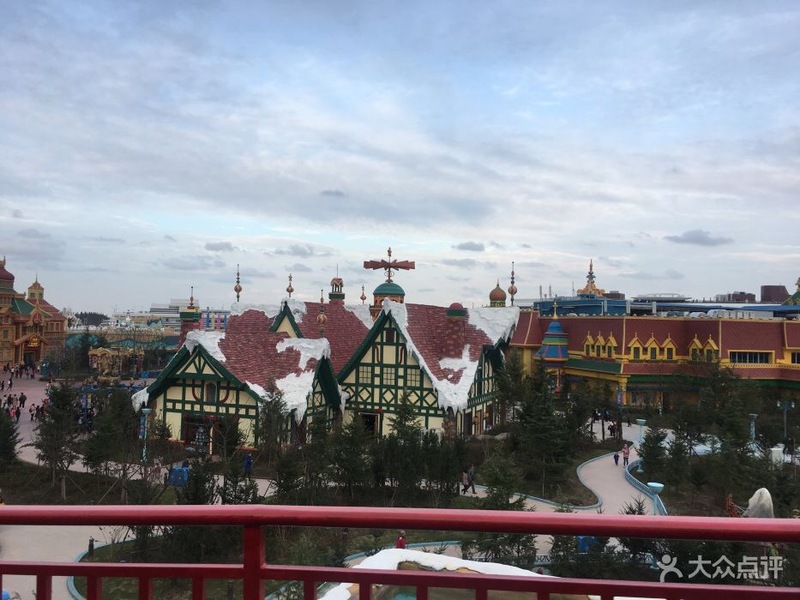 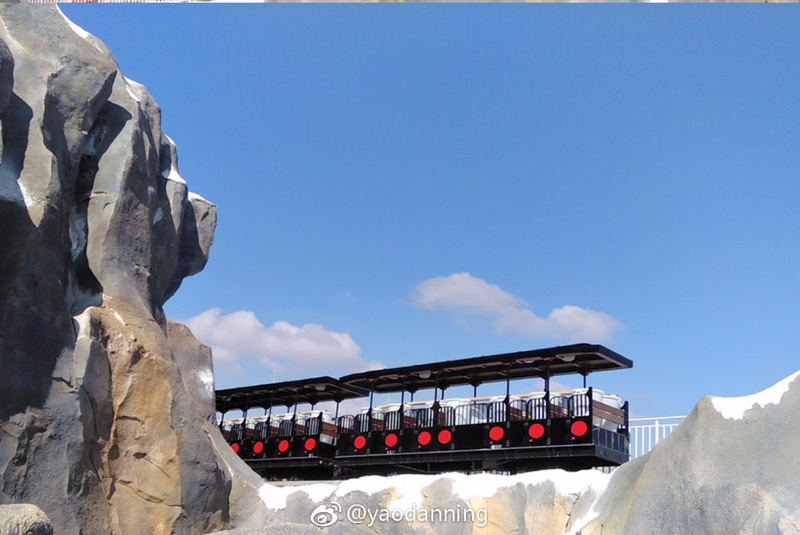 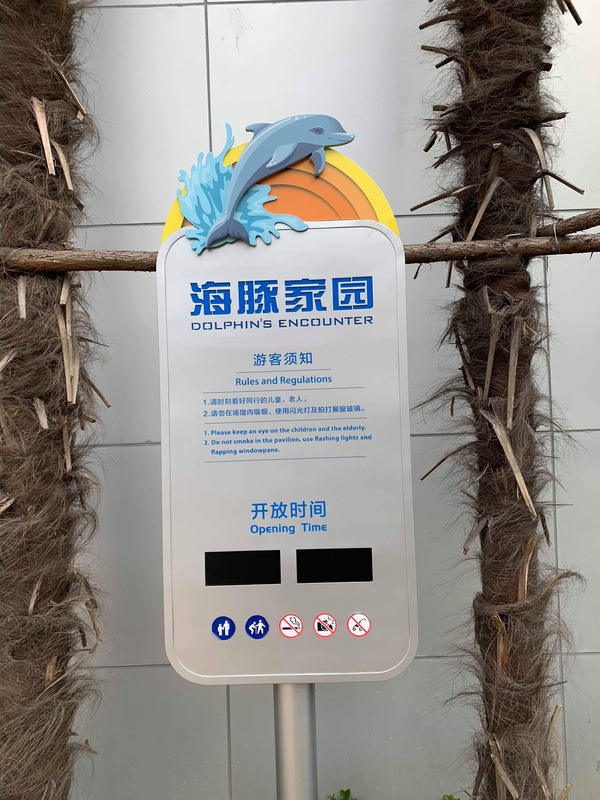 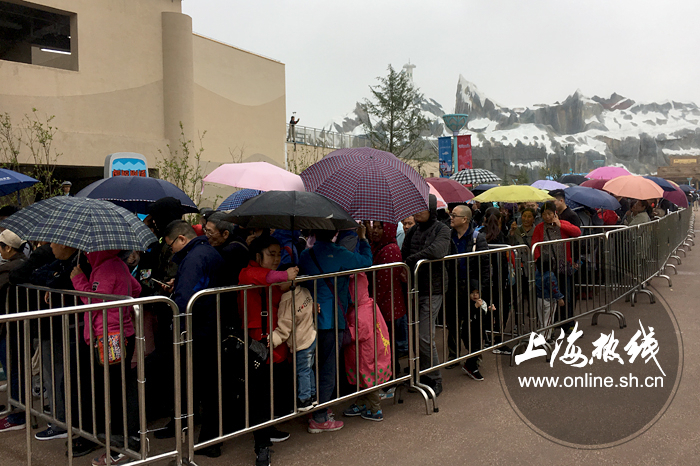 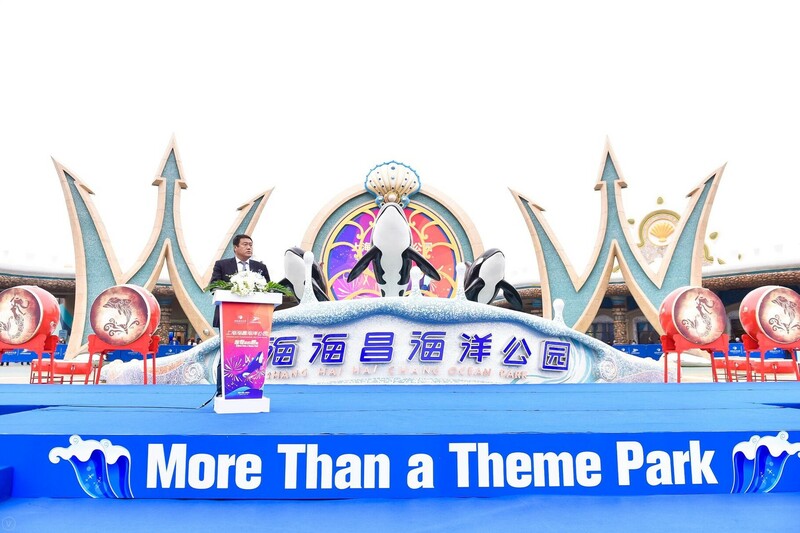 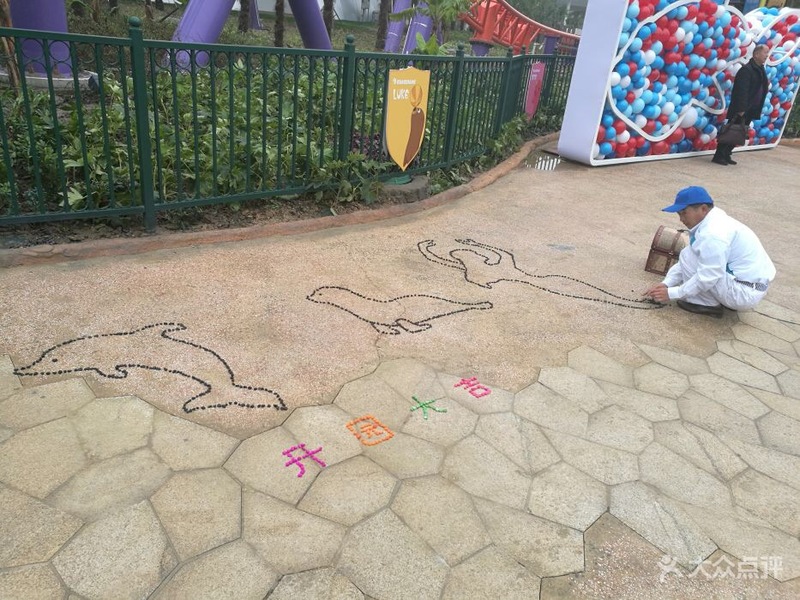 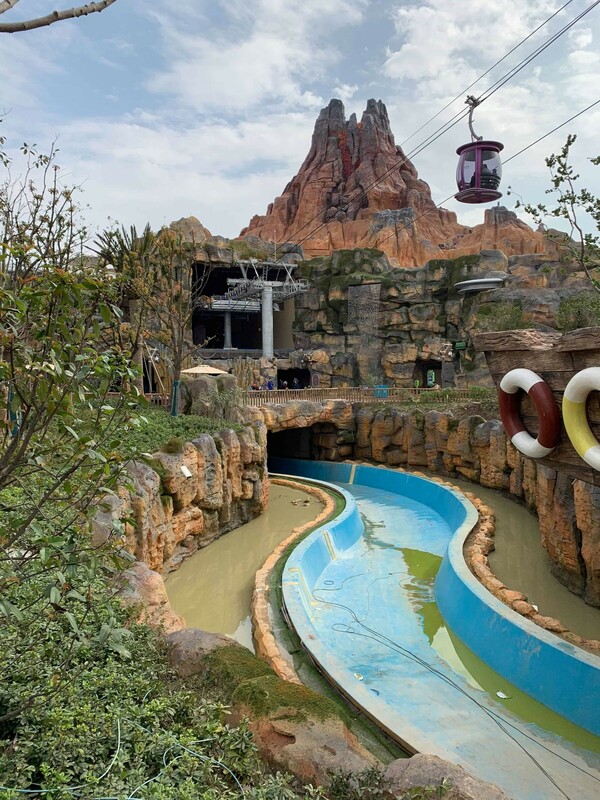 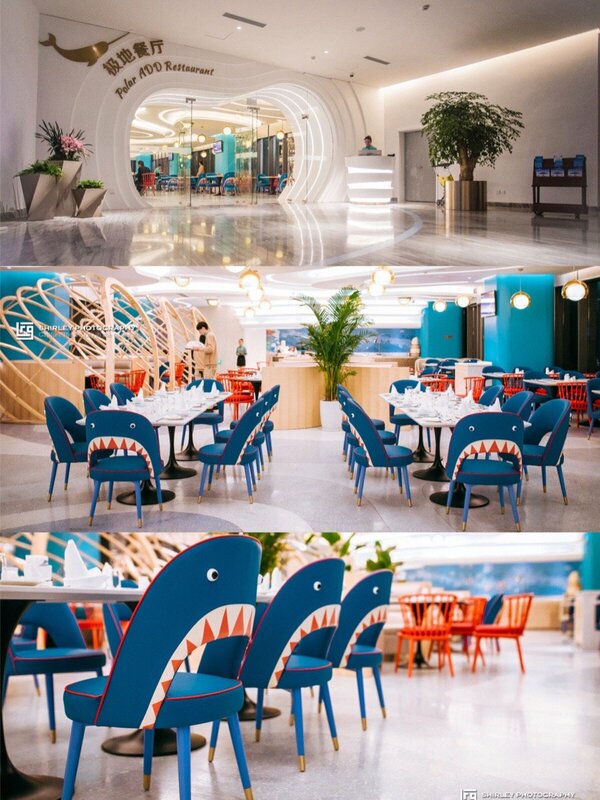 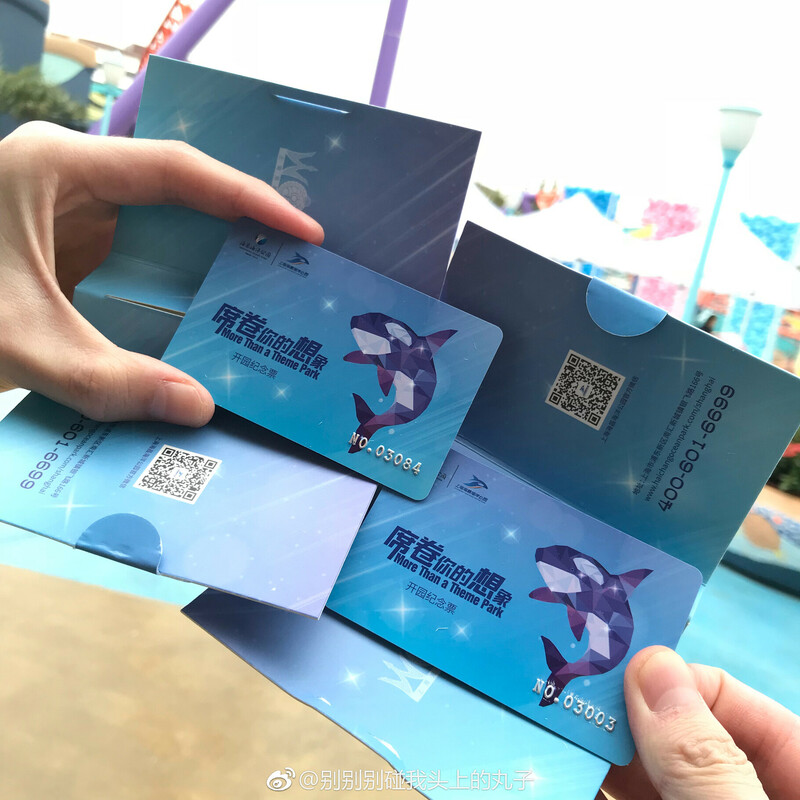 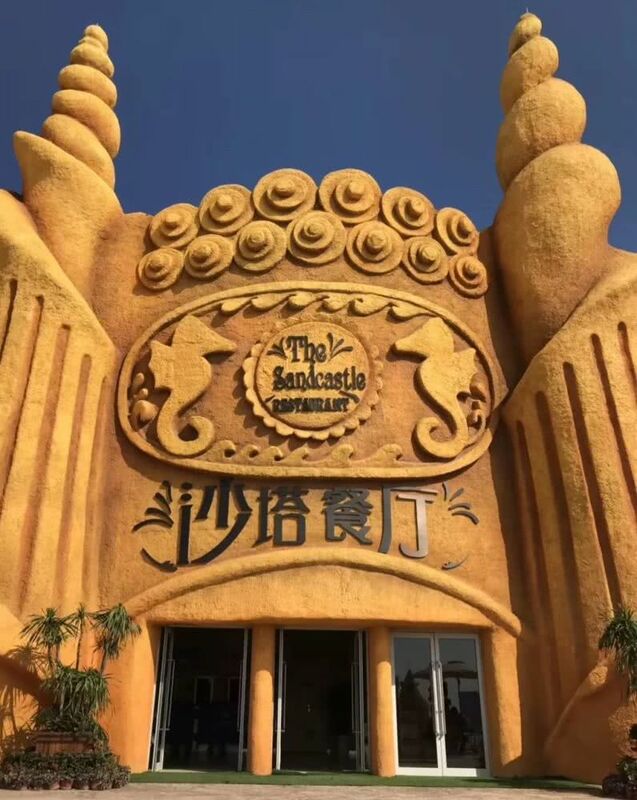 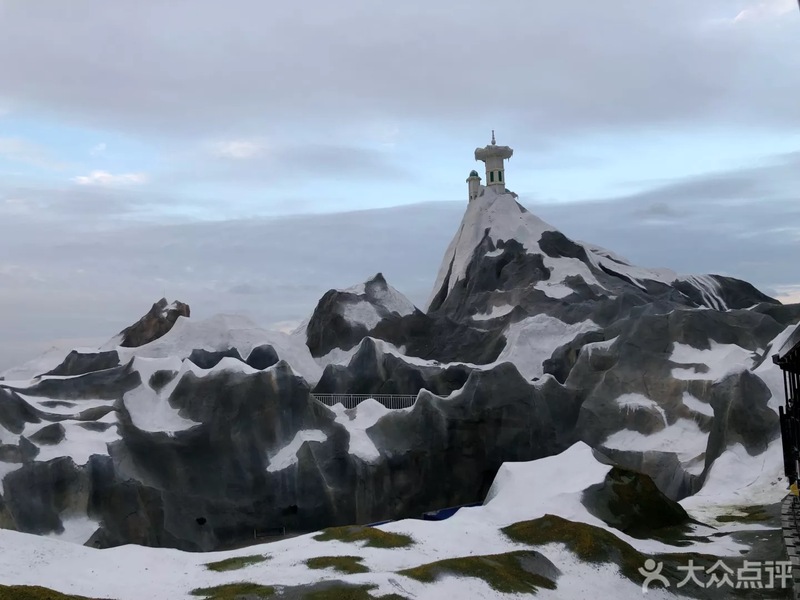 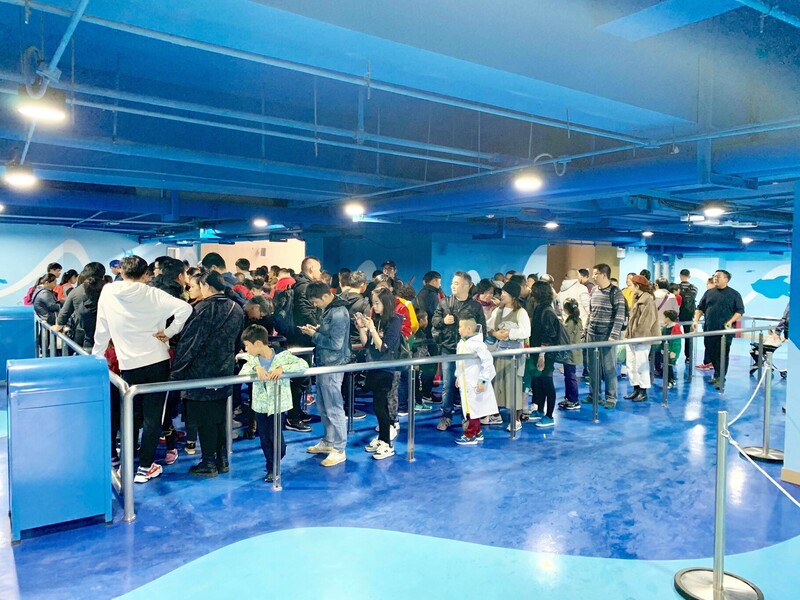 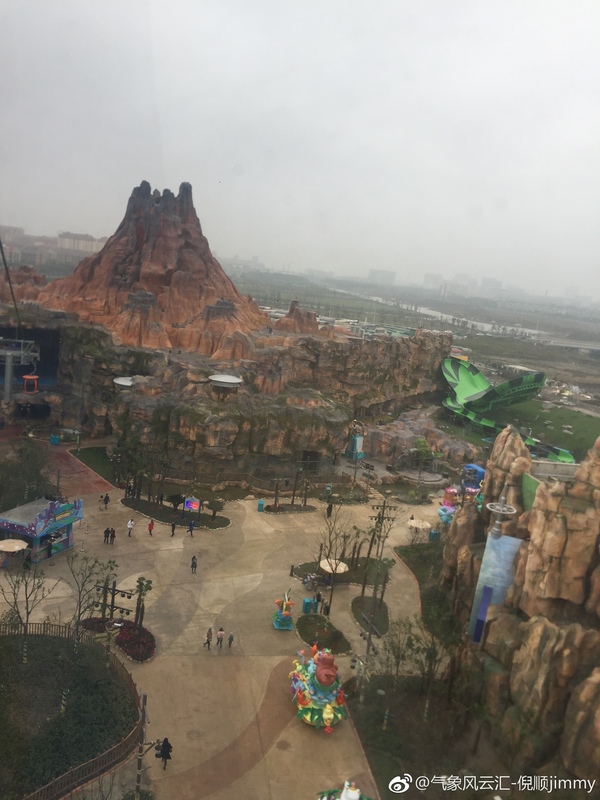 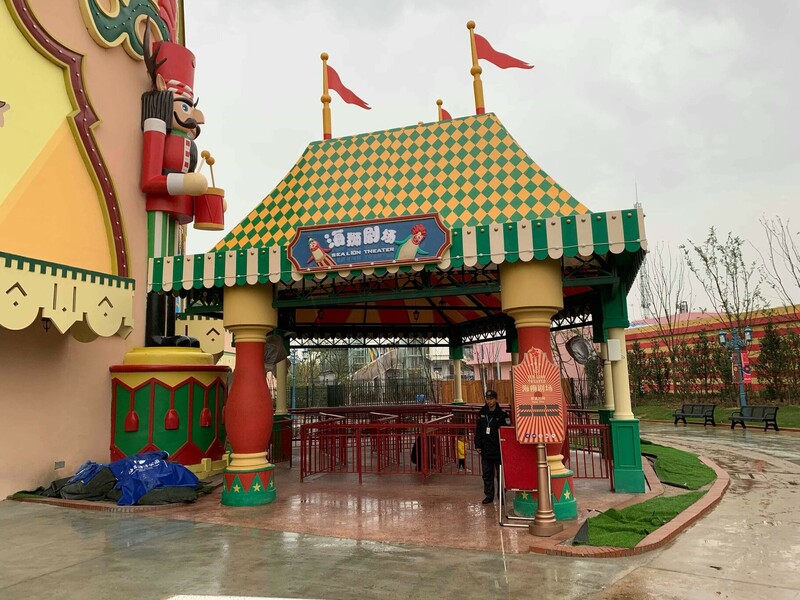 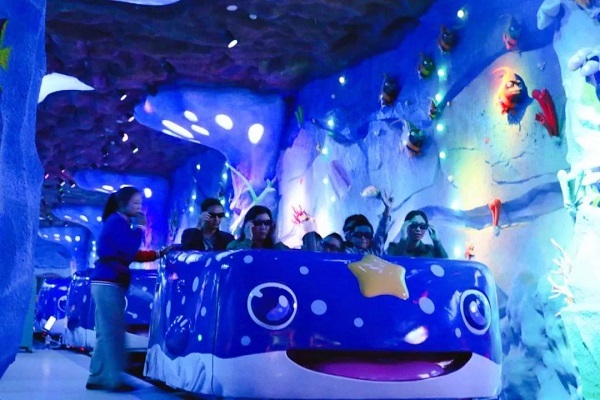 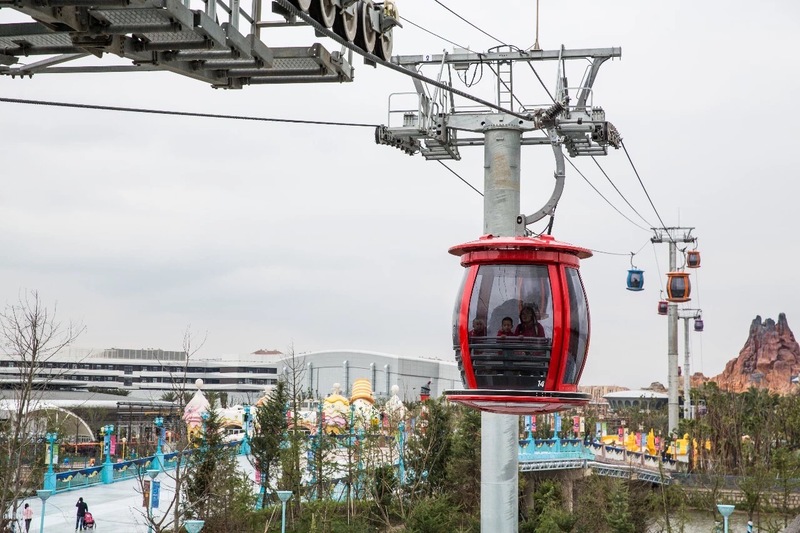 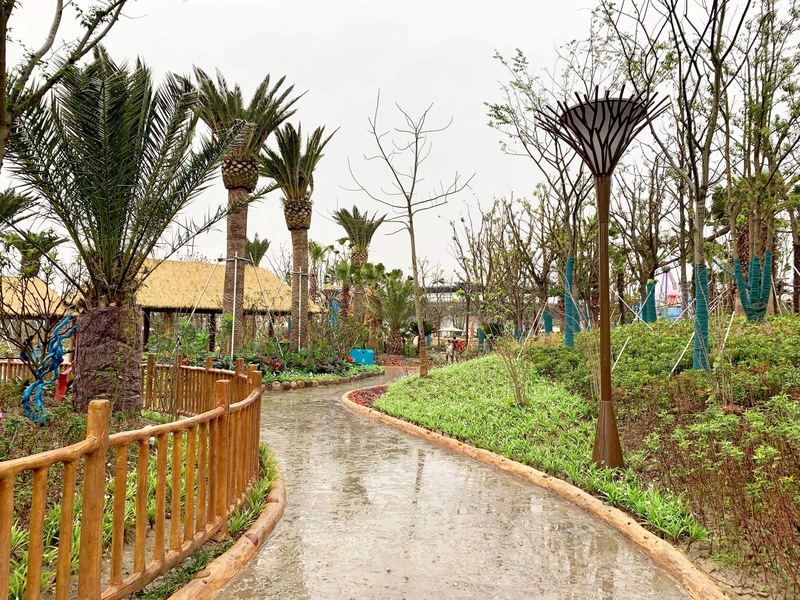 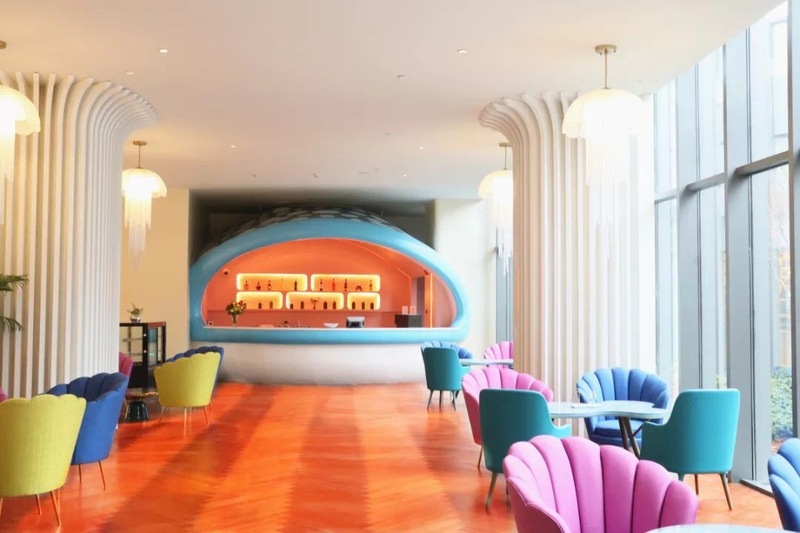 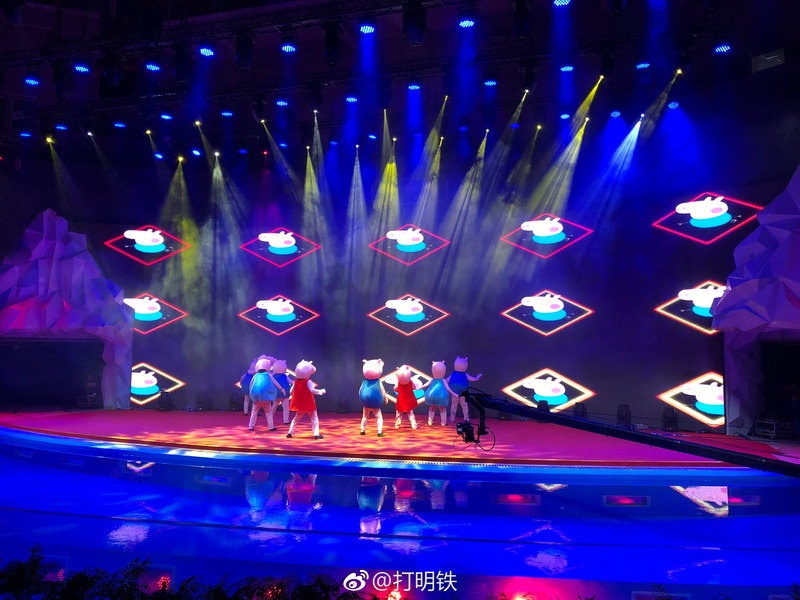 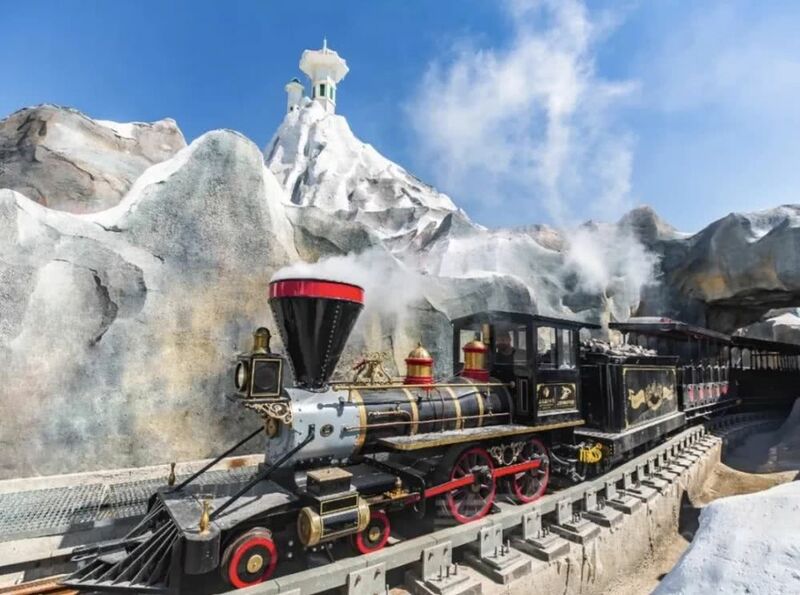 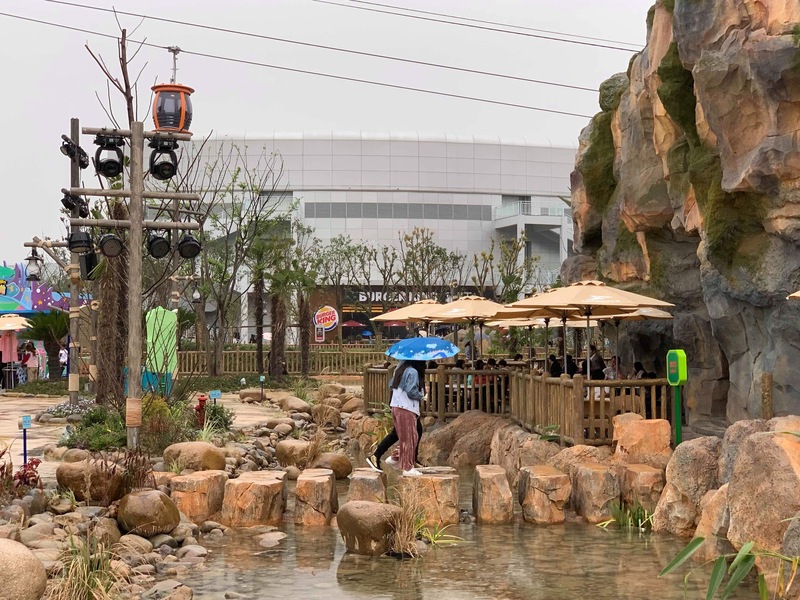 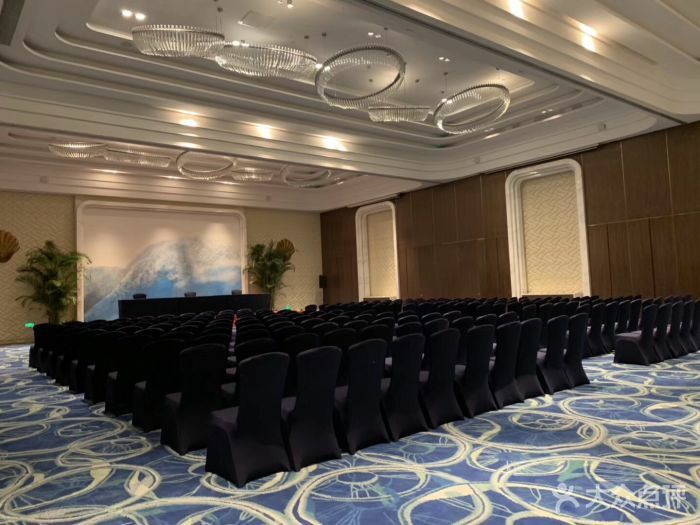 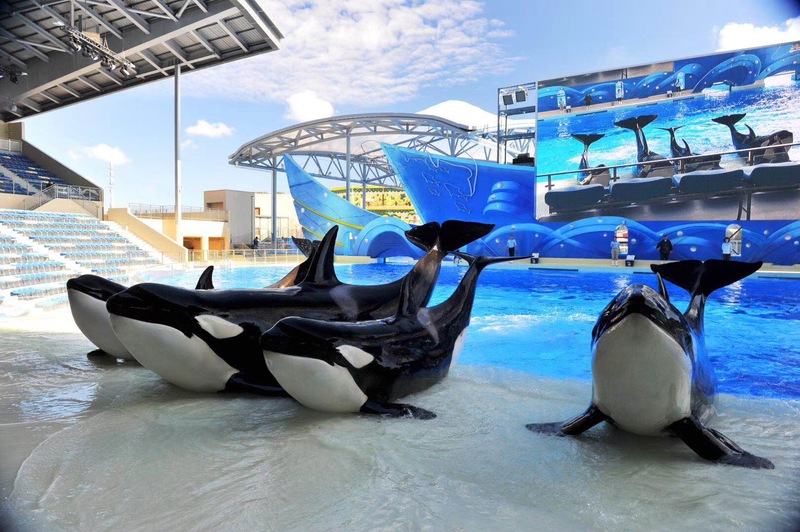 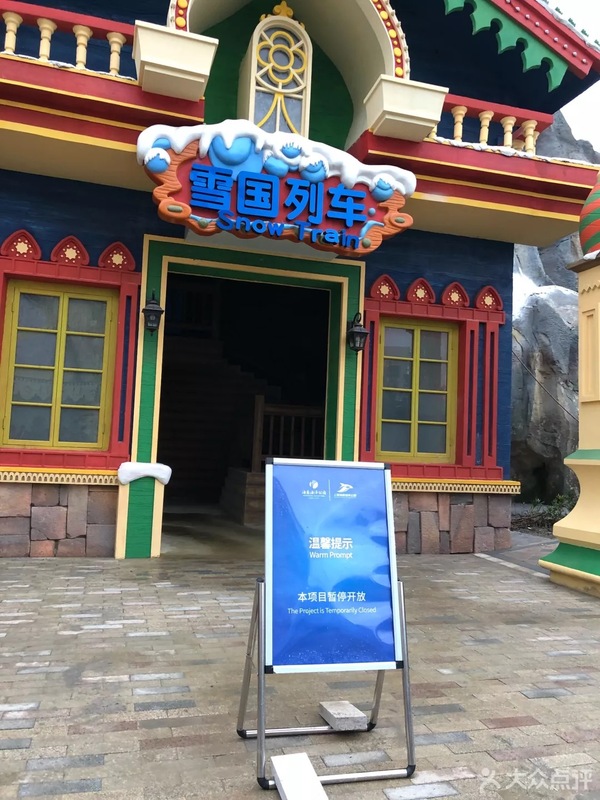 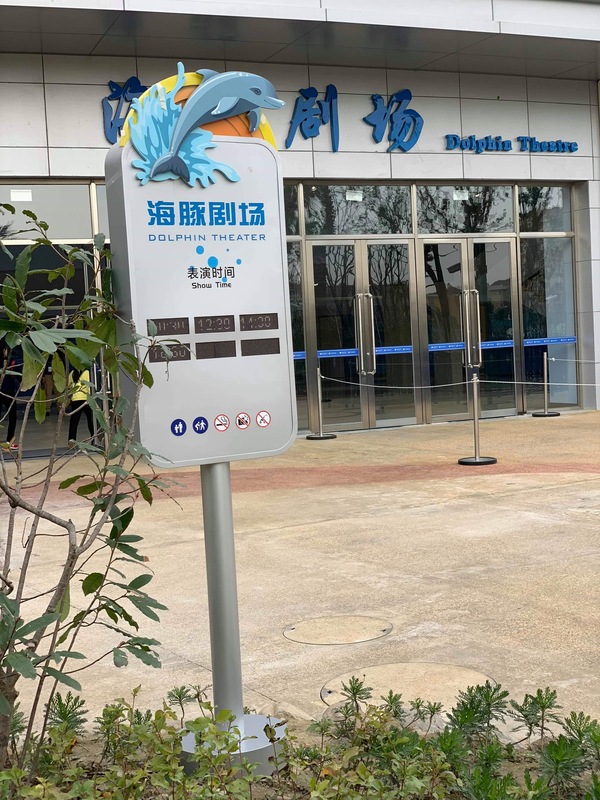 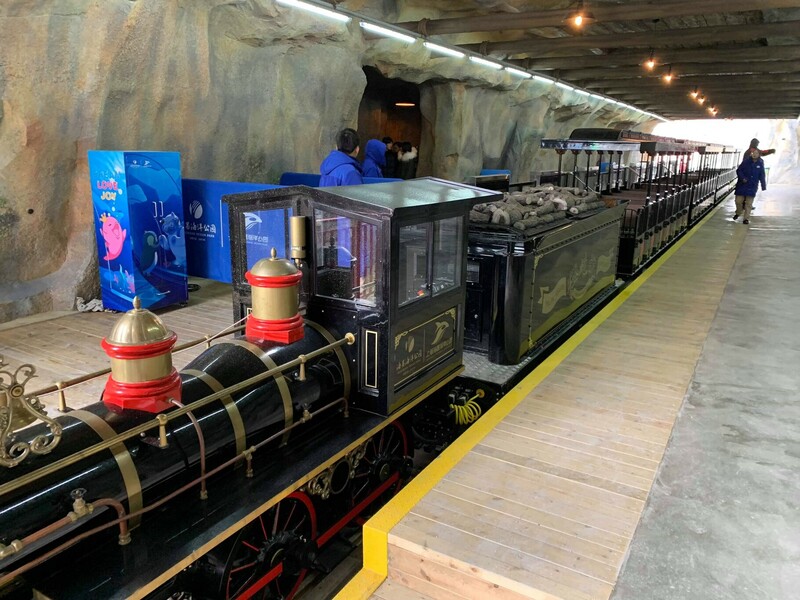 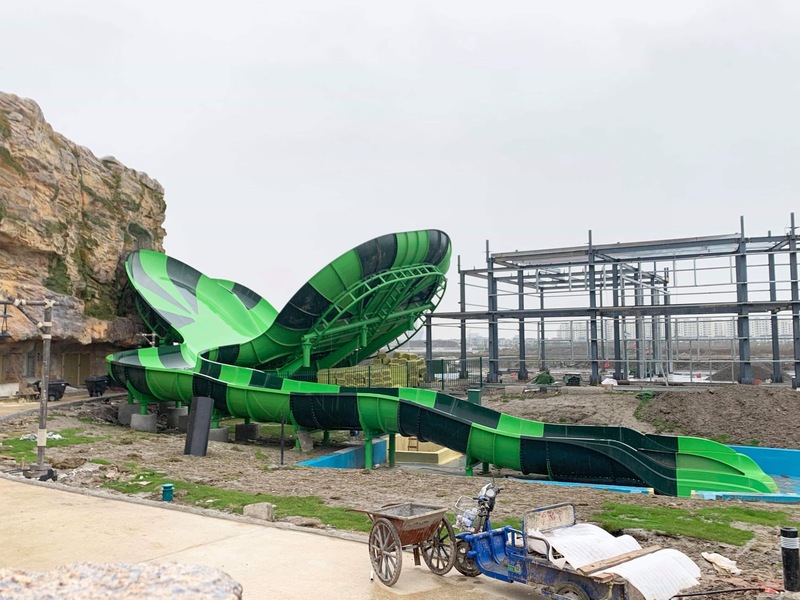 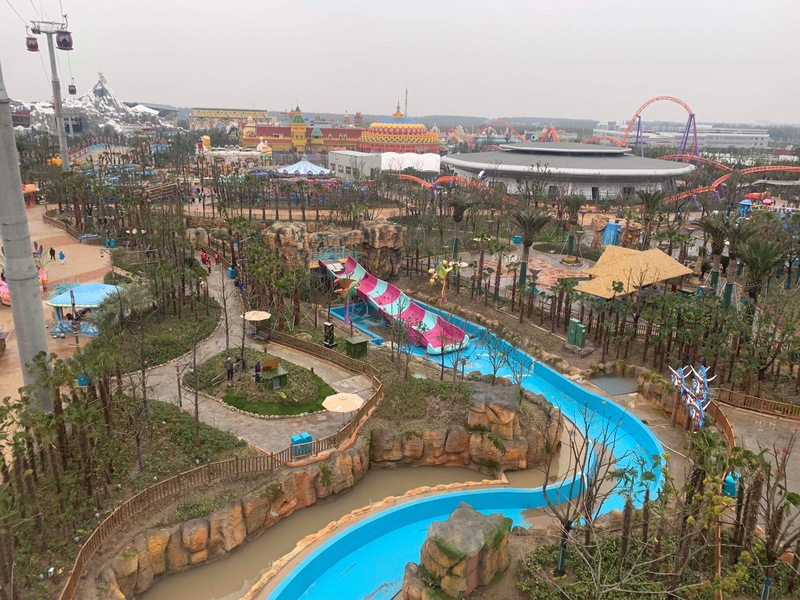 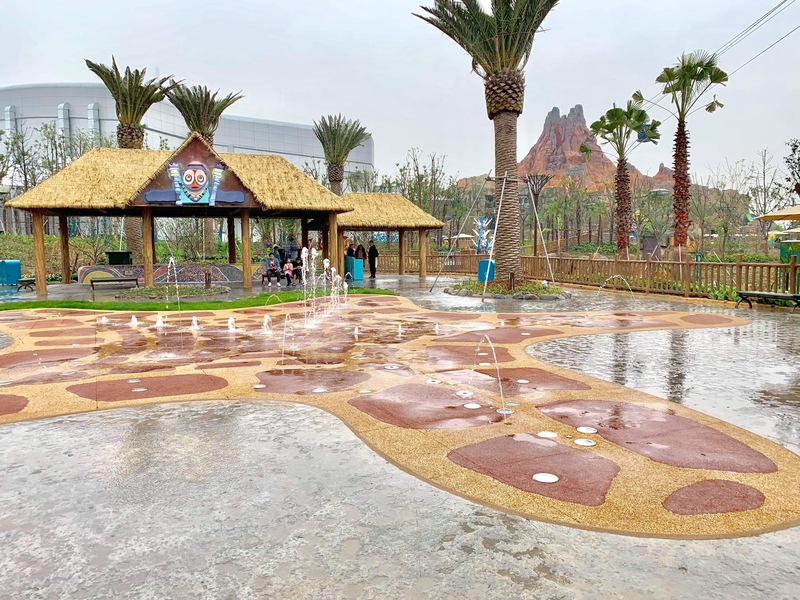 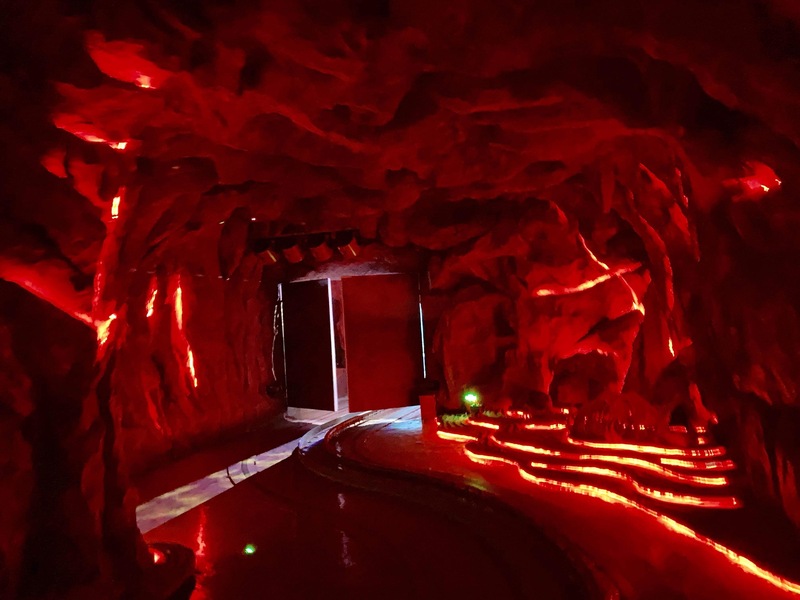 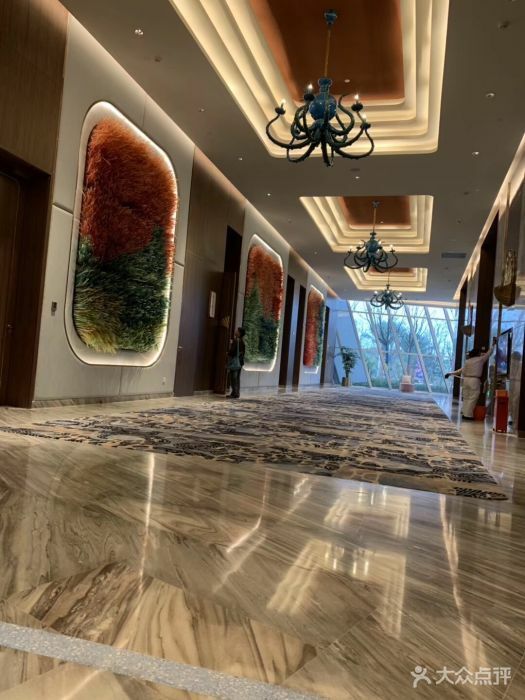 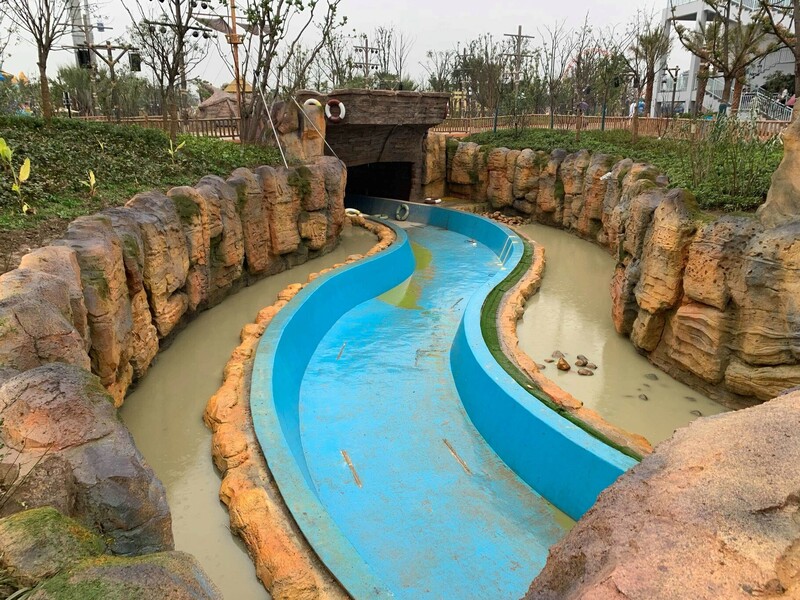 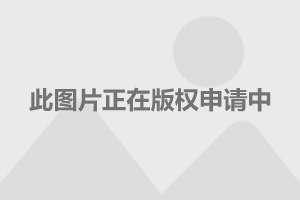 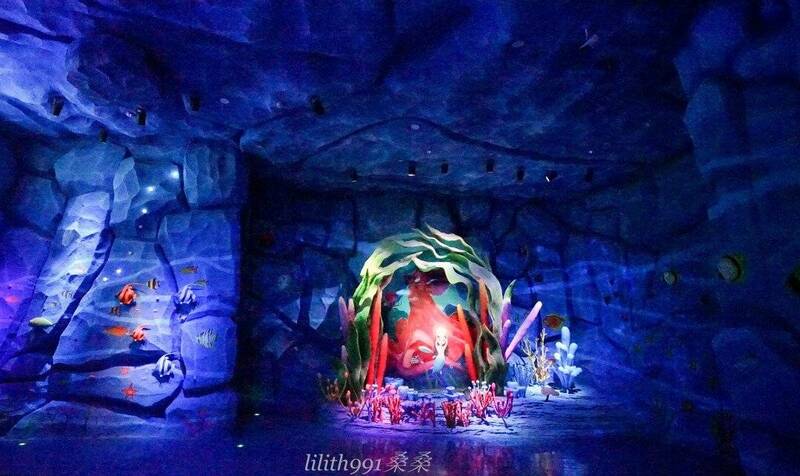 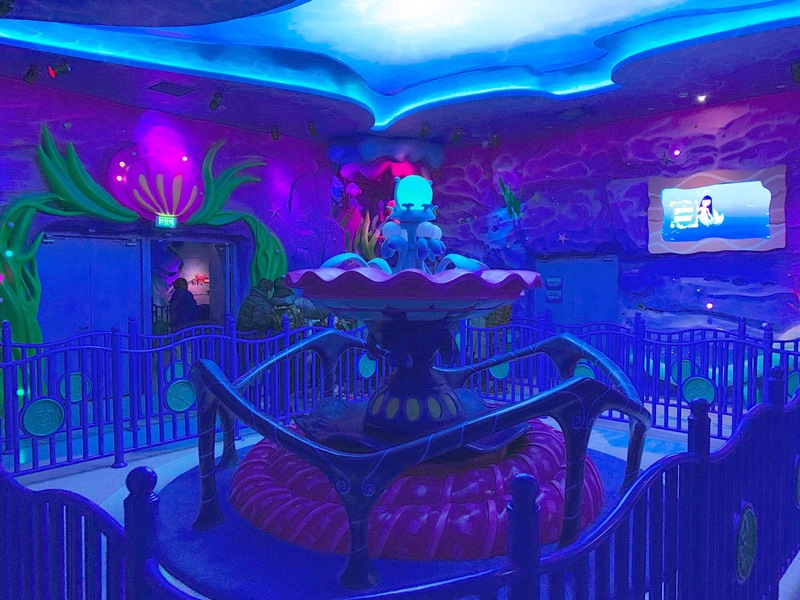 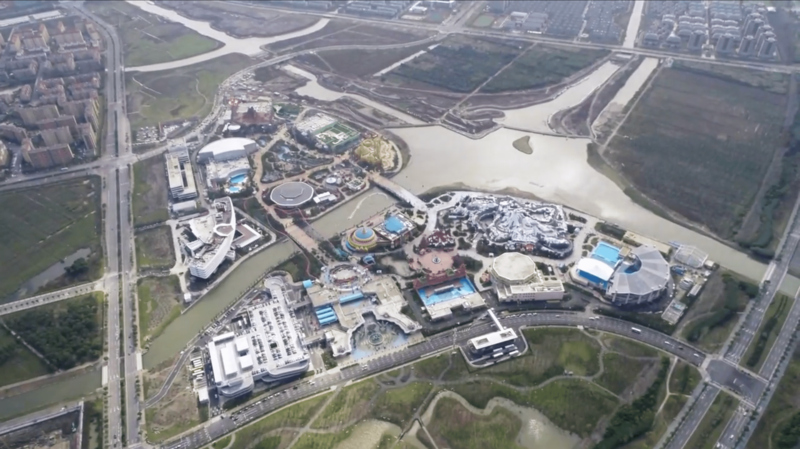 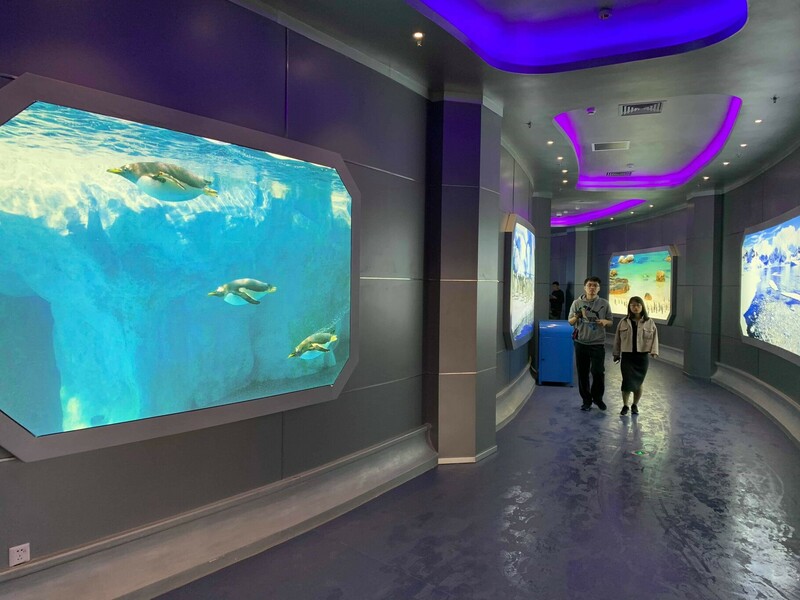 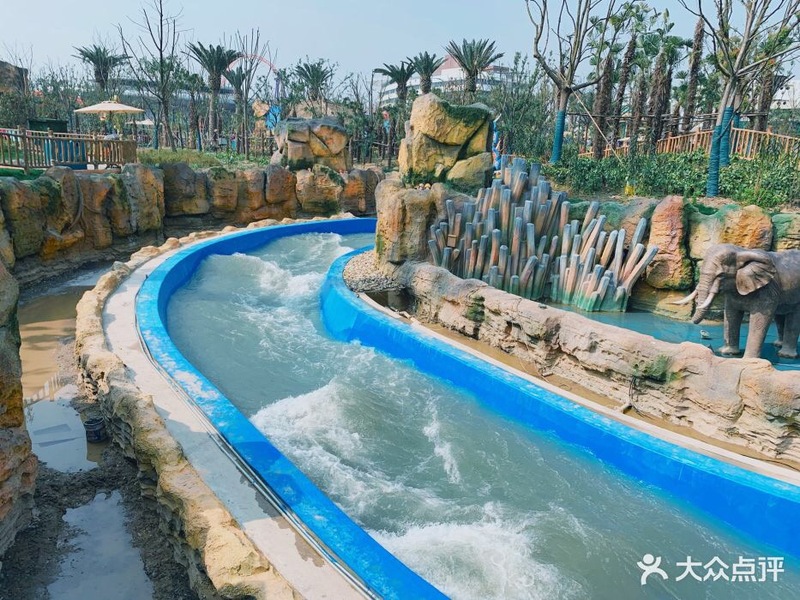 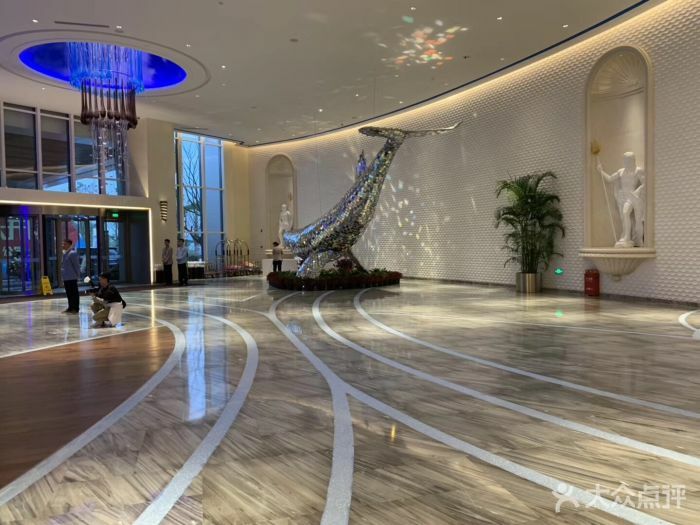 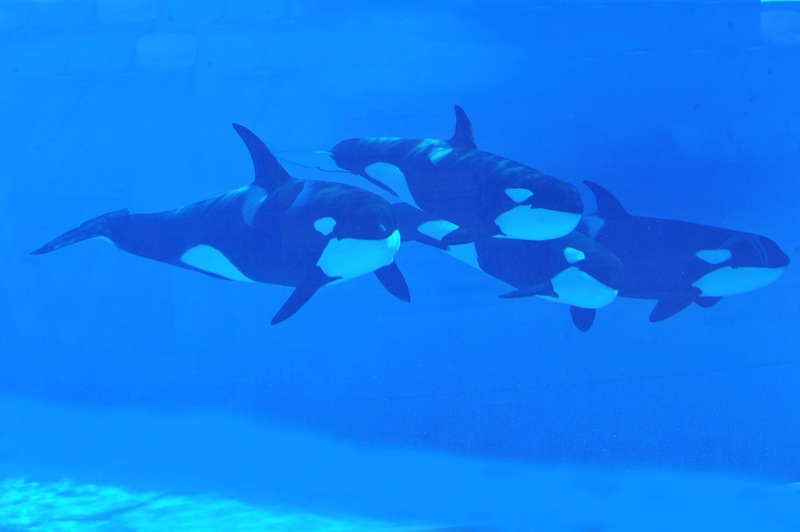 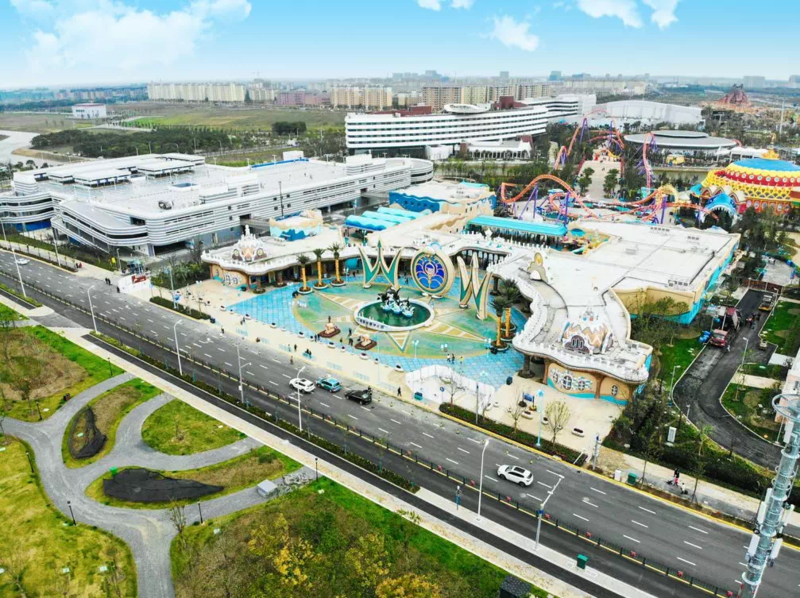 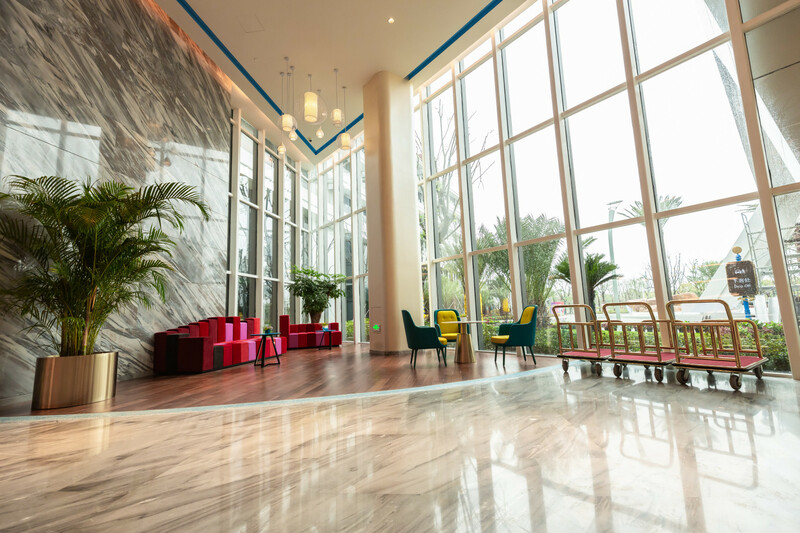 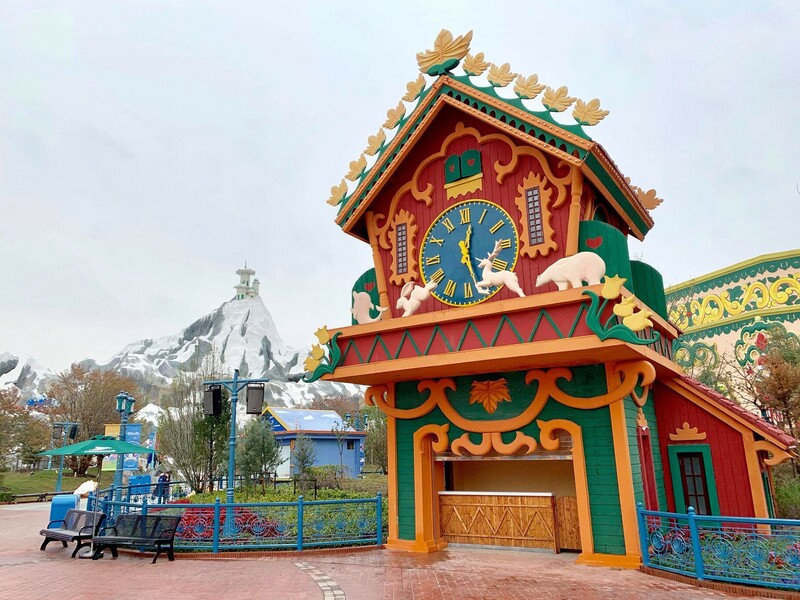 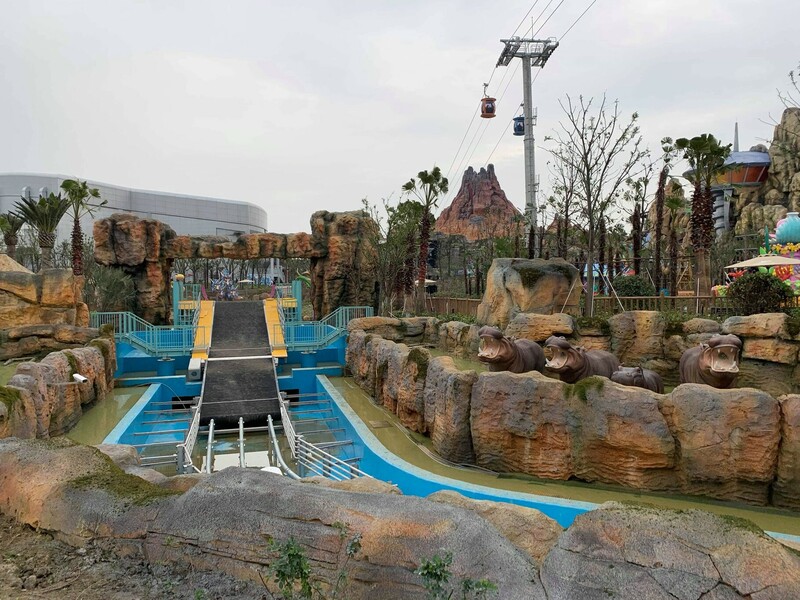 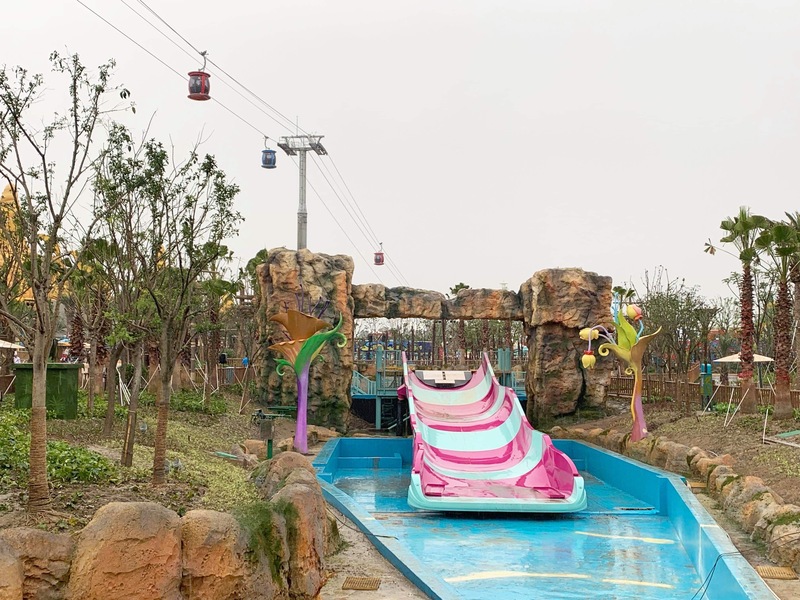 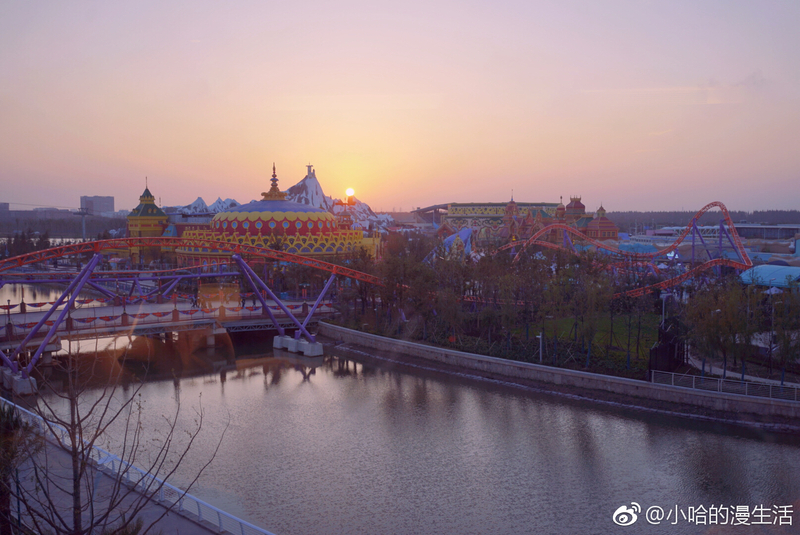 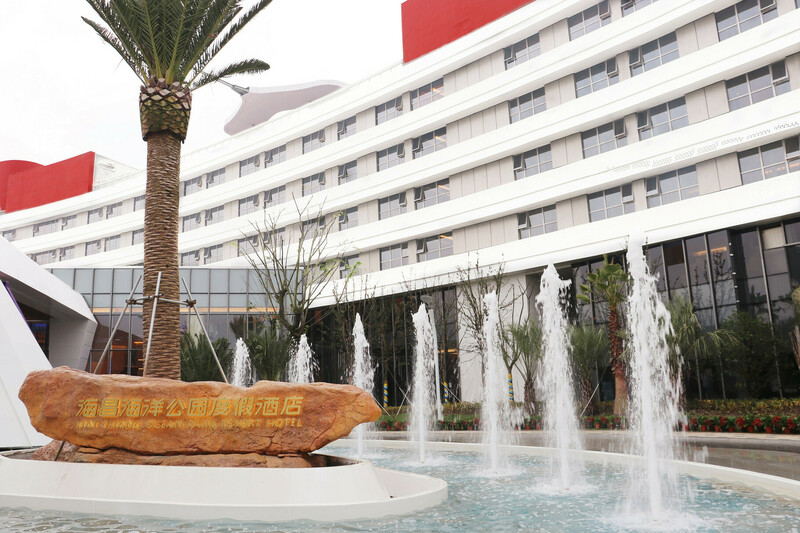 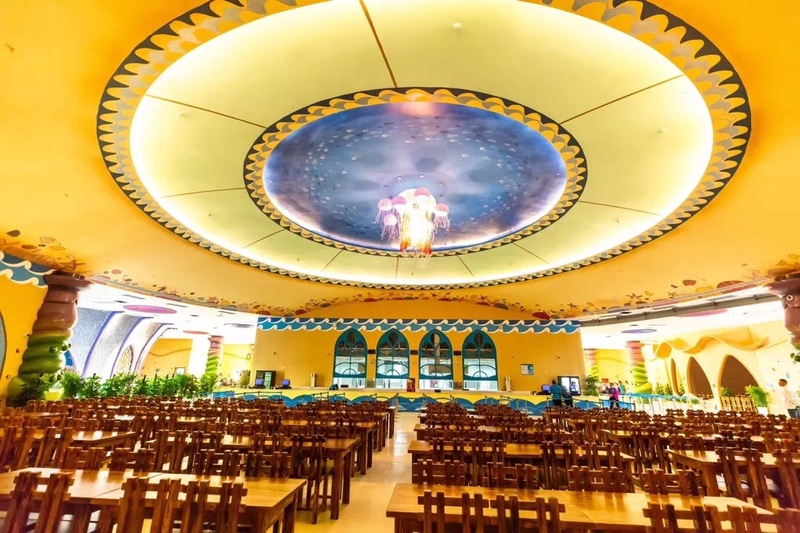 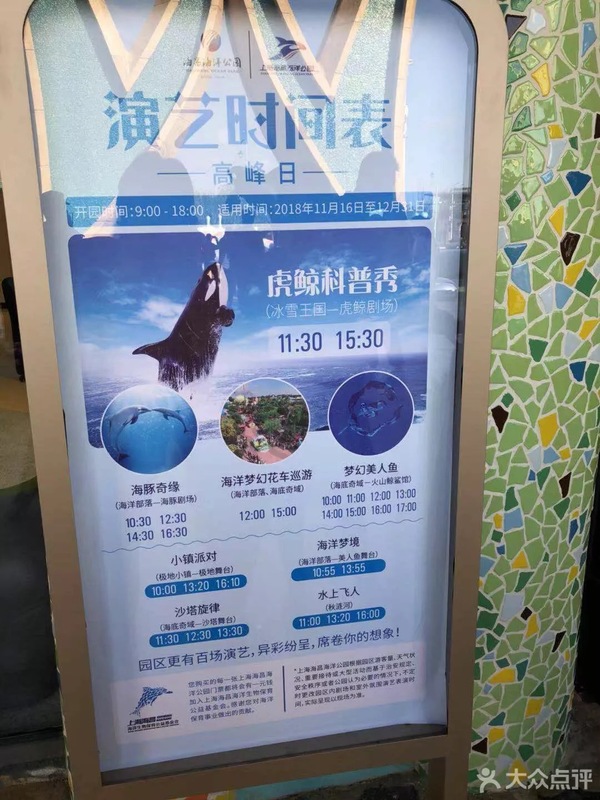 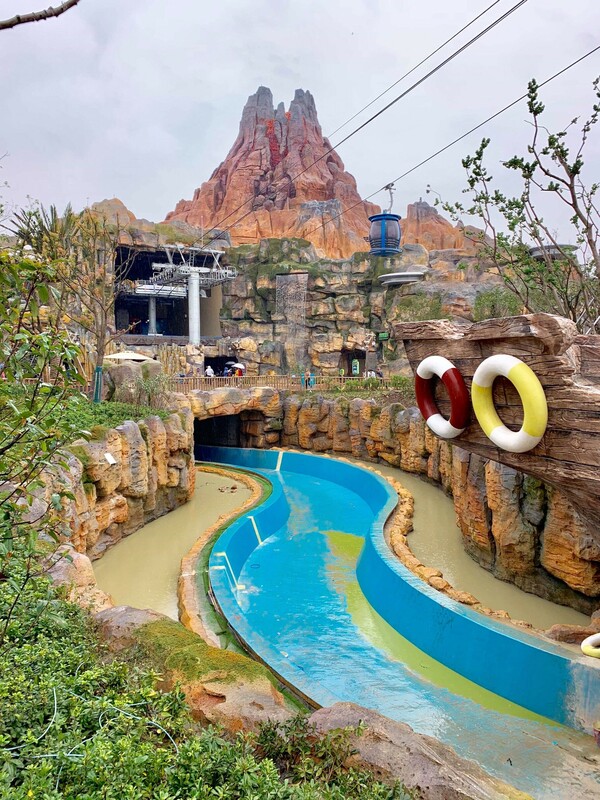 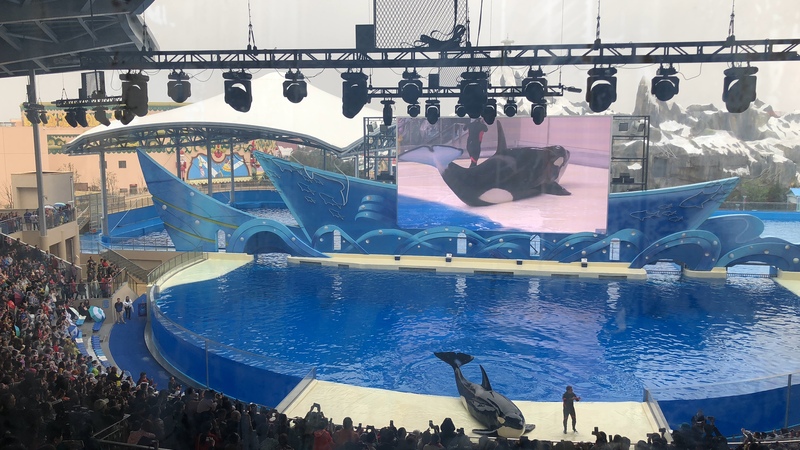 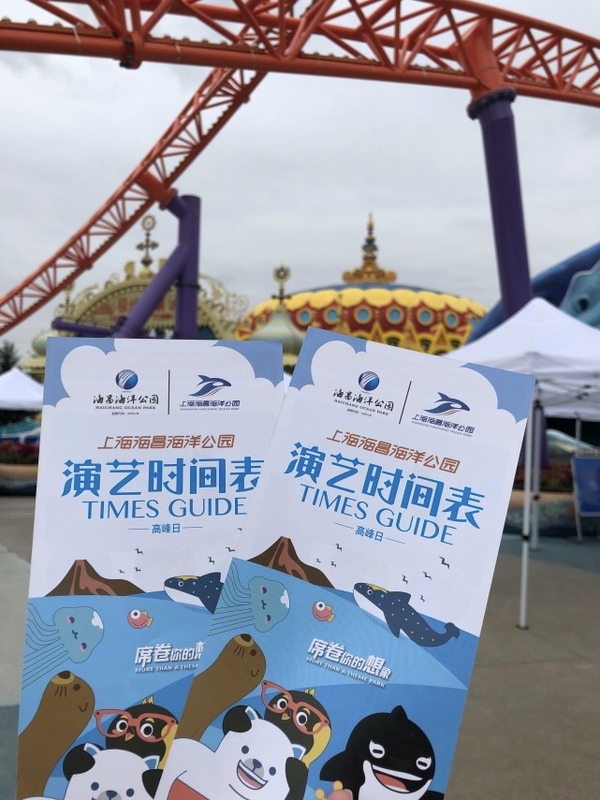 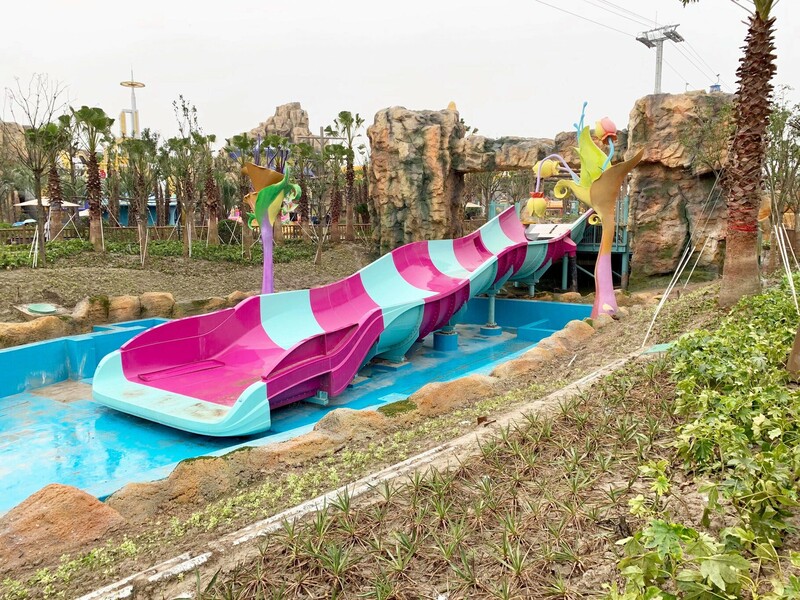 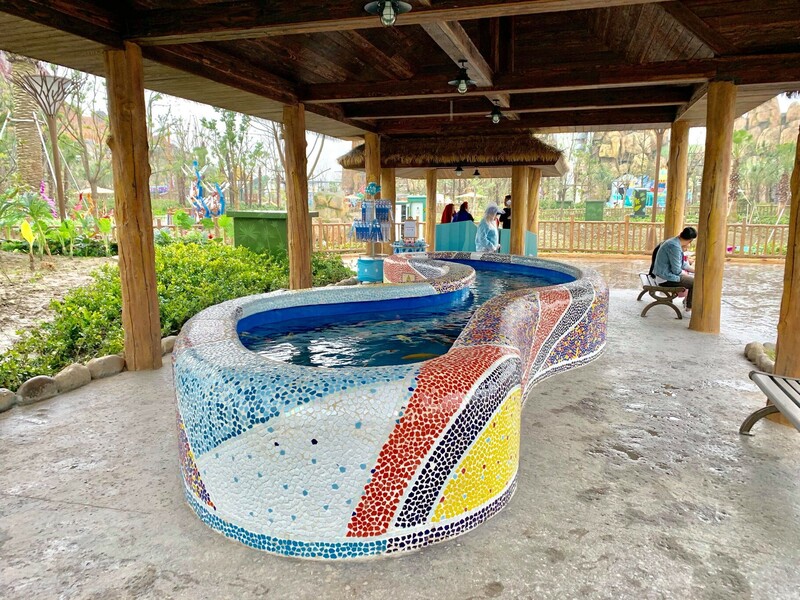 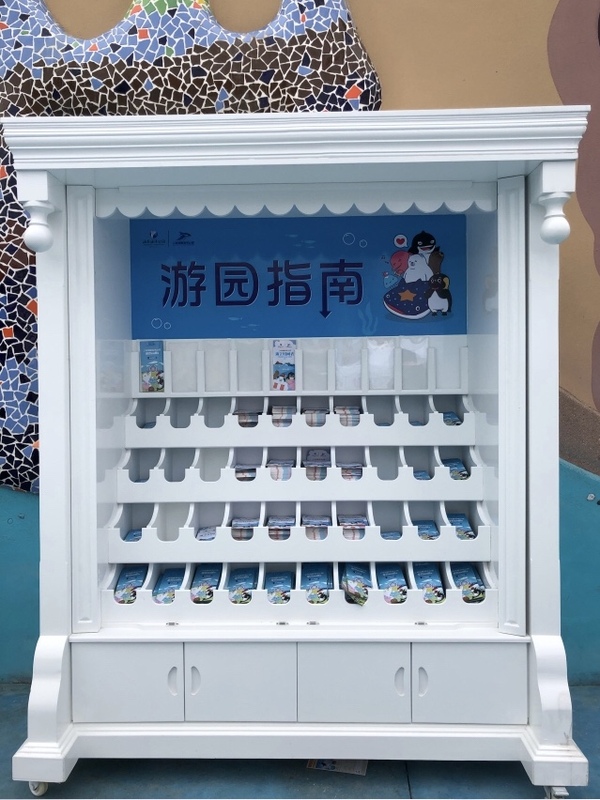 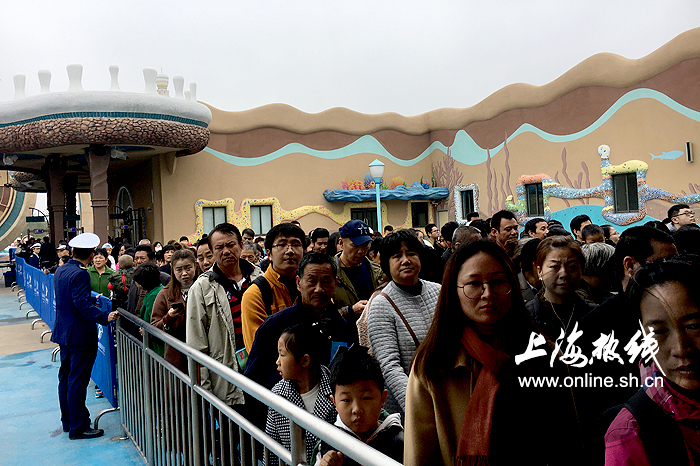 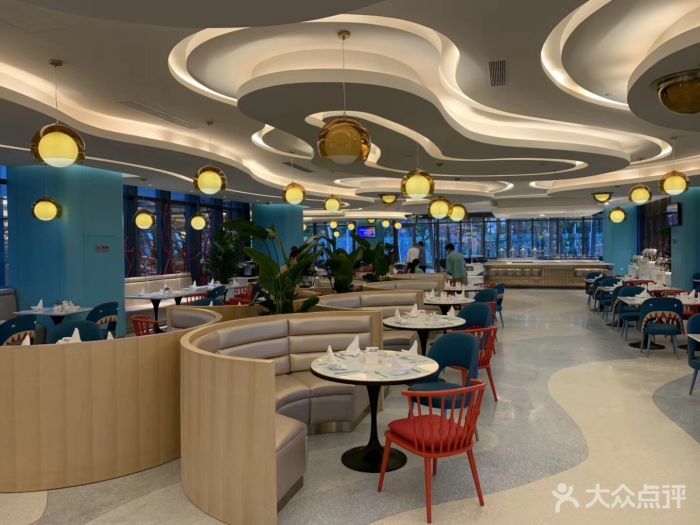 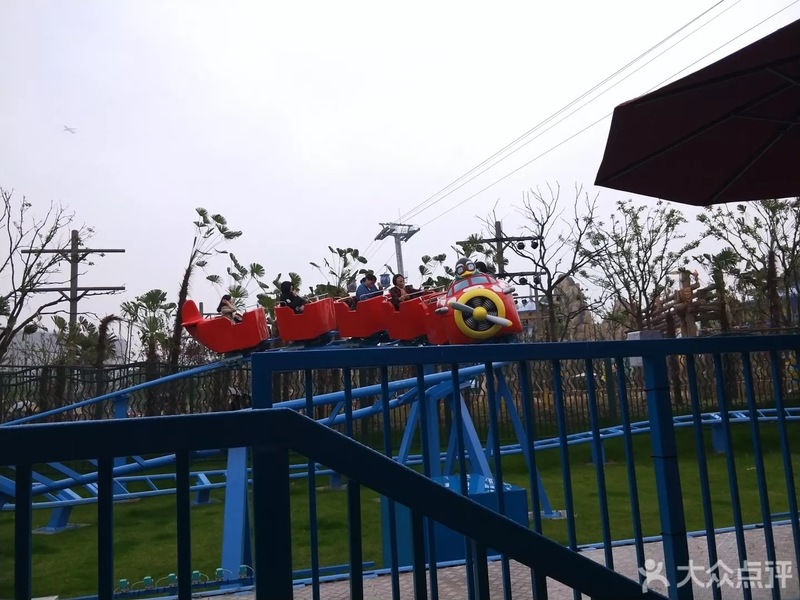 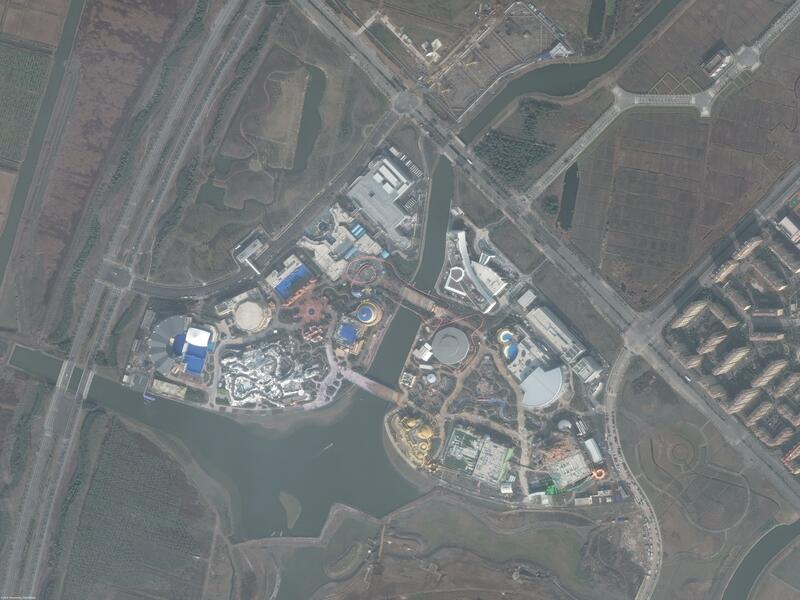 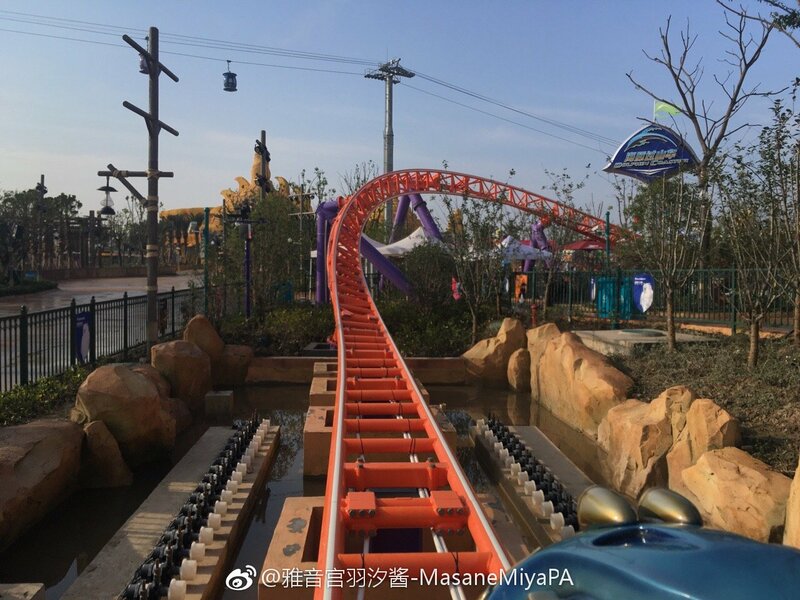 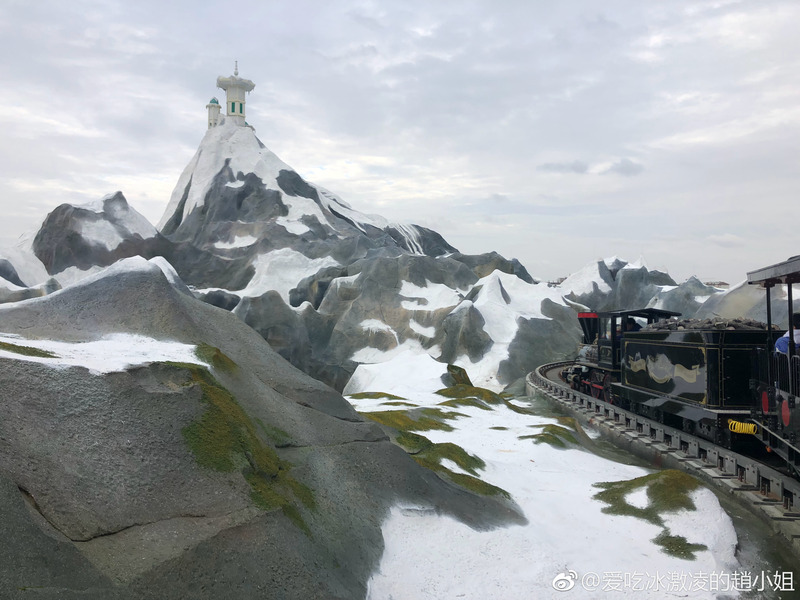 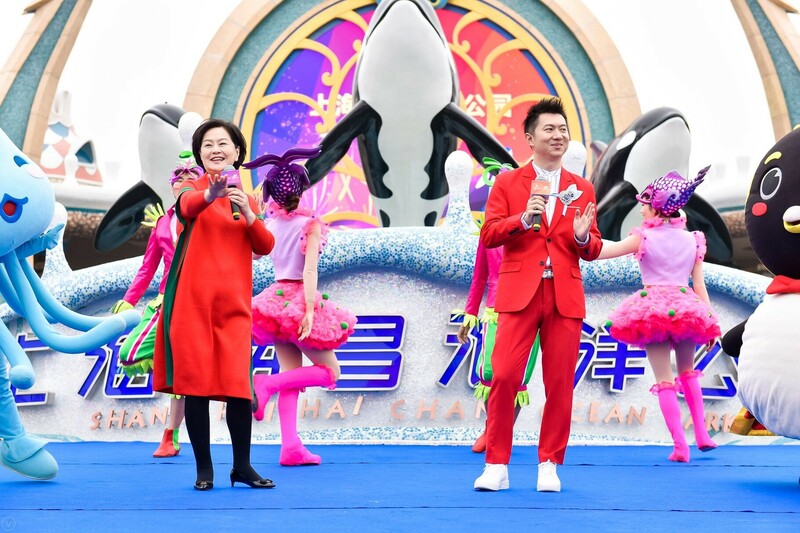 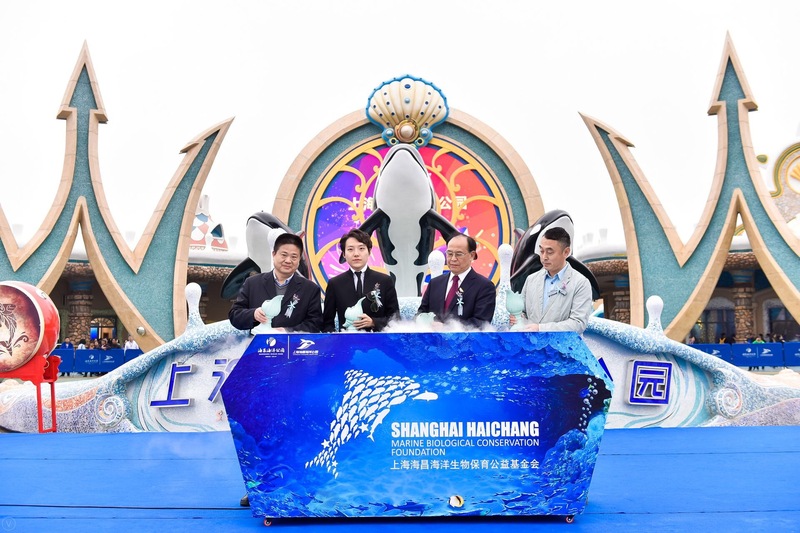 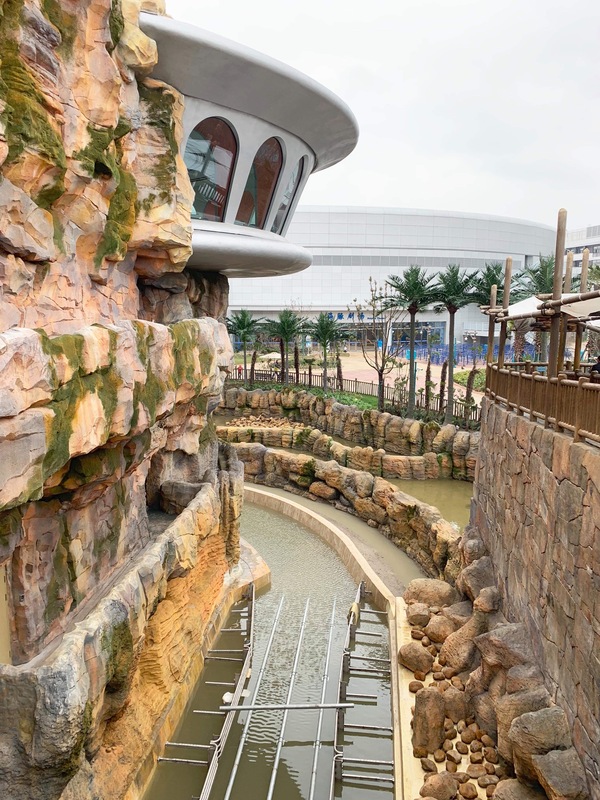 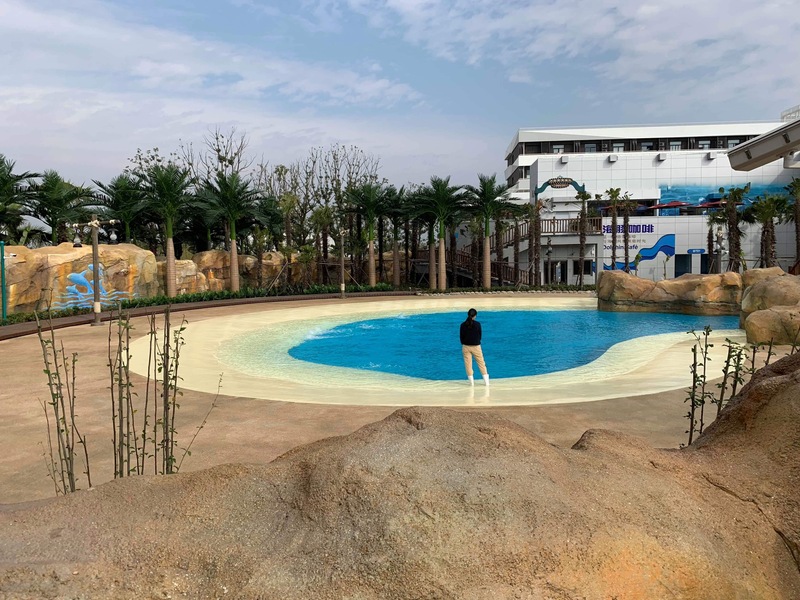 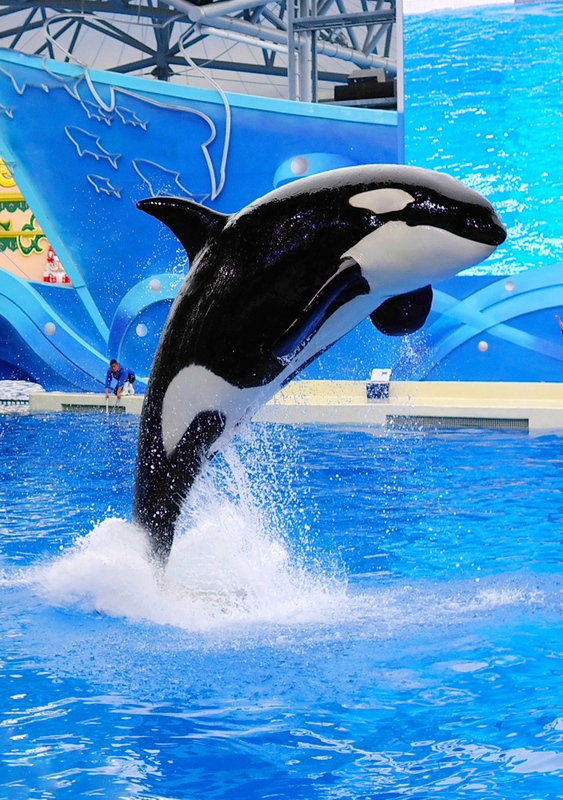 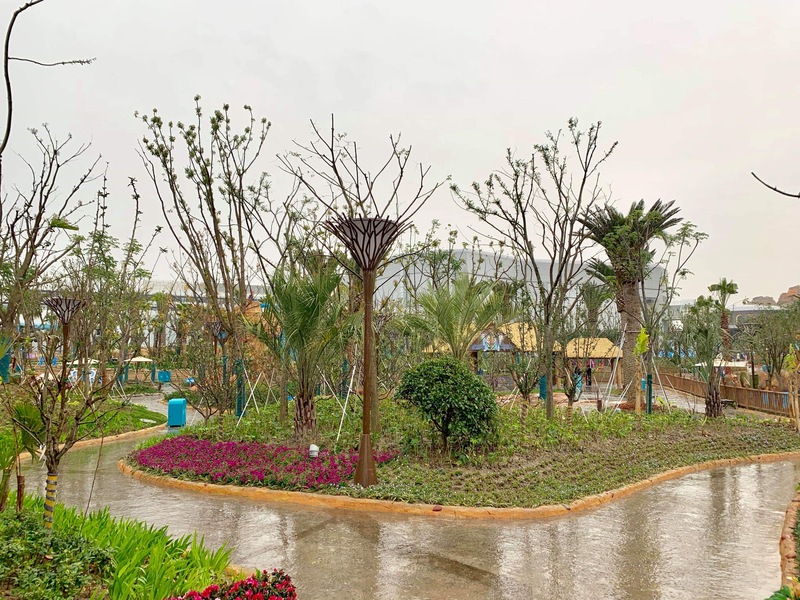 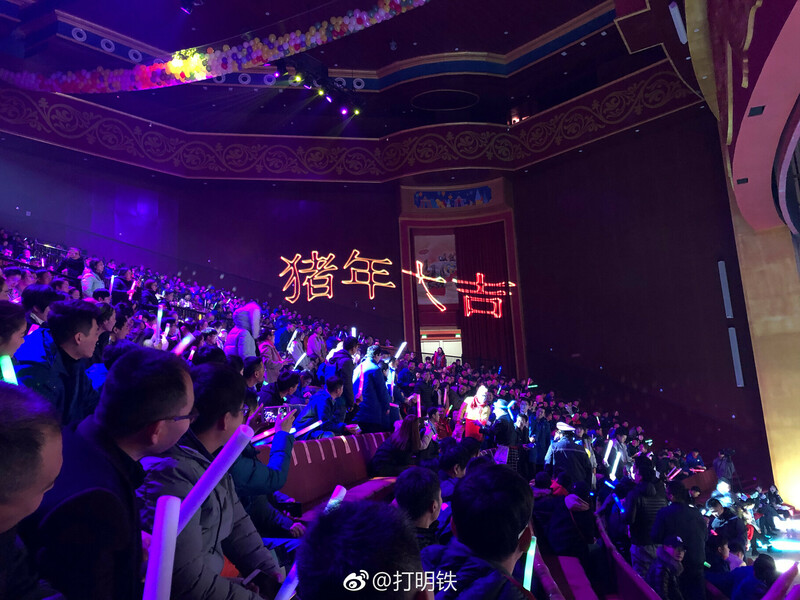 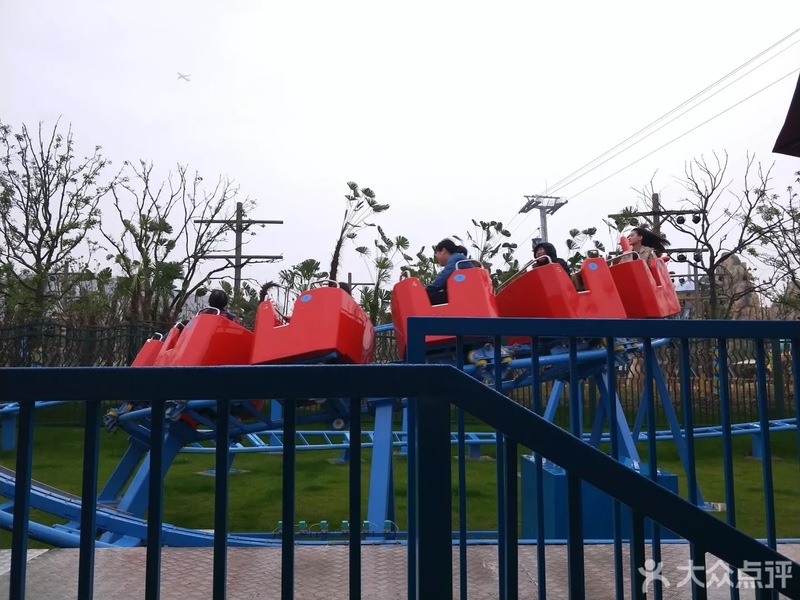 New photos and details have come out about the park's dark ride, "Adventures in the Sea"
During the grand opening ceremony, the park's executive director, along with the president of the National Aquatic Wildlife Protection Branch, the vice president of Shanghai Ocean University, and the director of the Aquarium Professional Committee of the China Association of Natural Science Museums, announced the launch of the "Shanghai Haichang Marine Biological Conservation Foundation" in which Haichang will put 5 million yuan towards the foundation plus 1 yuan from every park ticket purchased will go directly towards the fund.